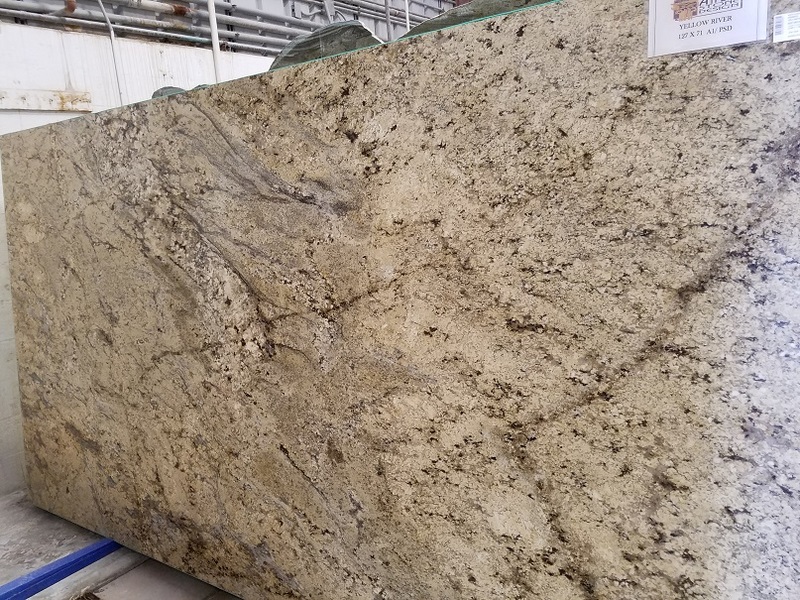 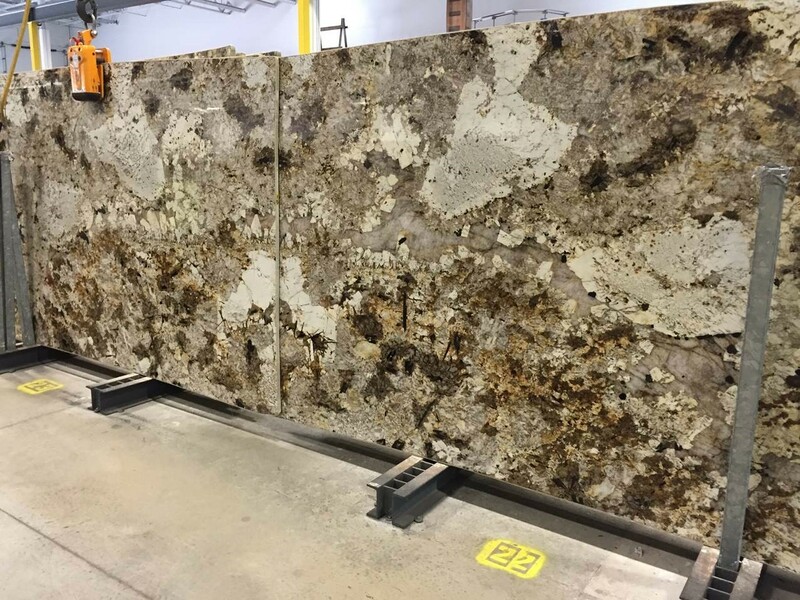 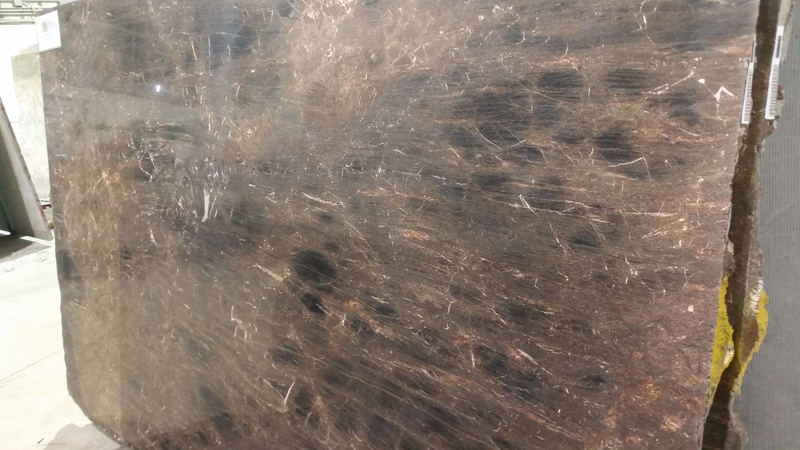 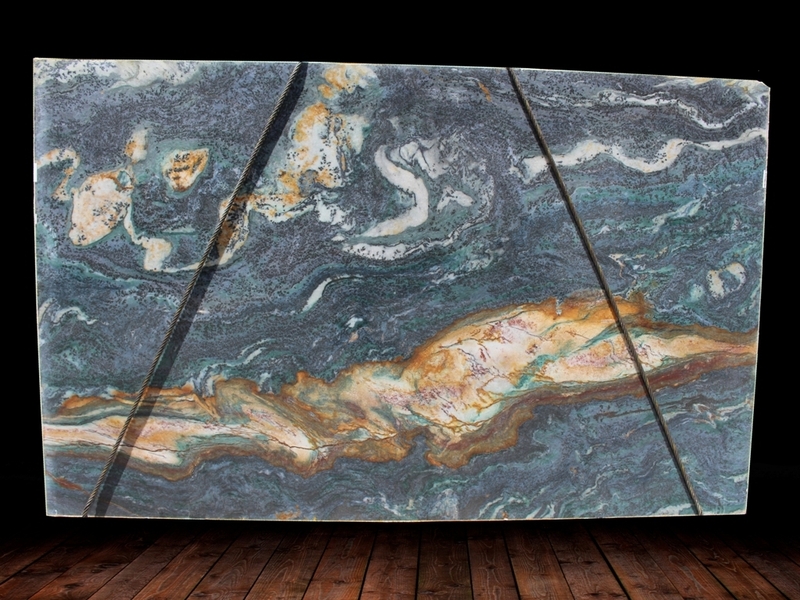 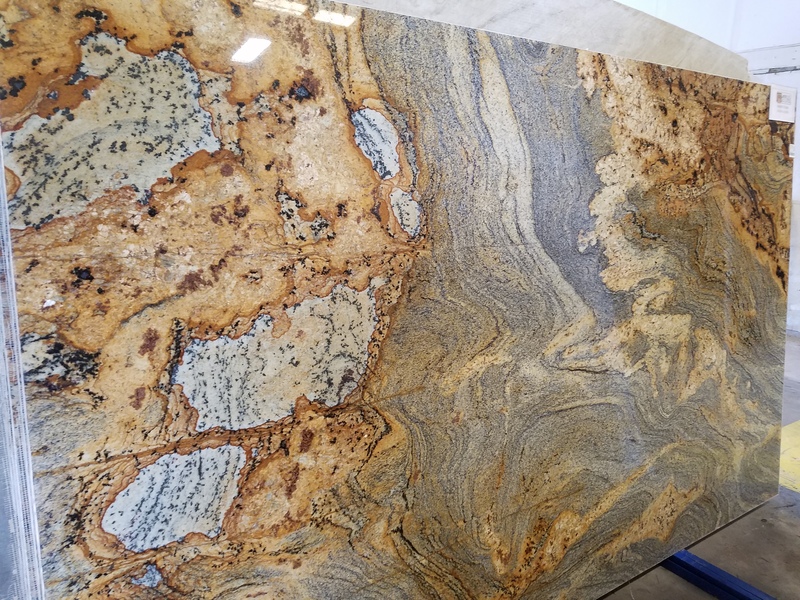 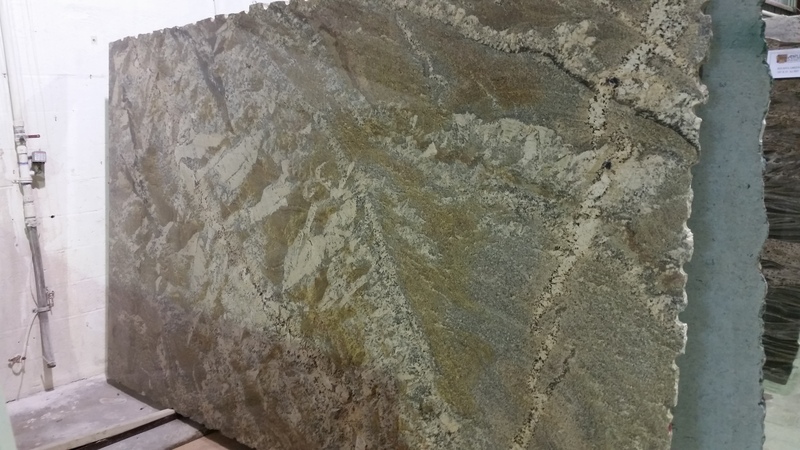 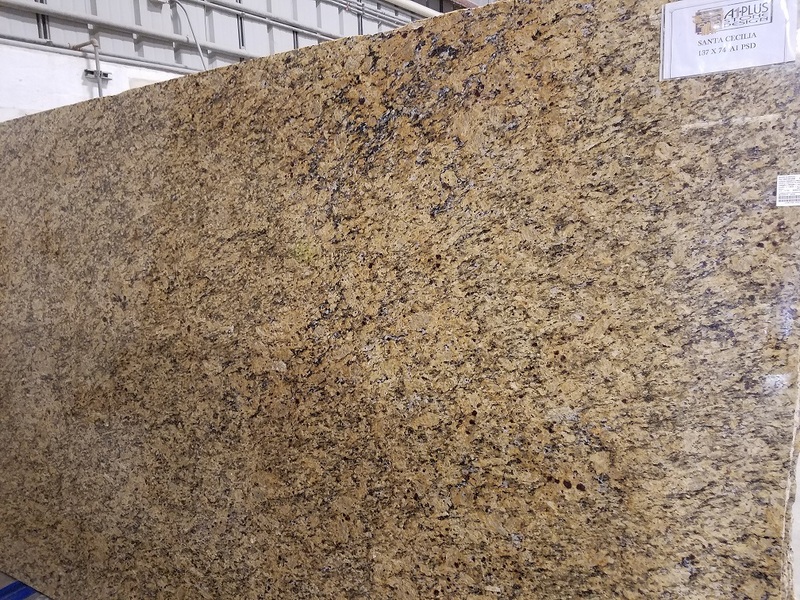 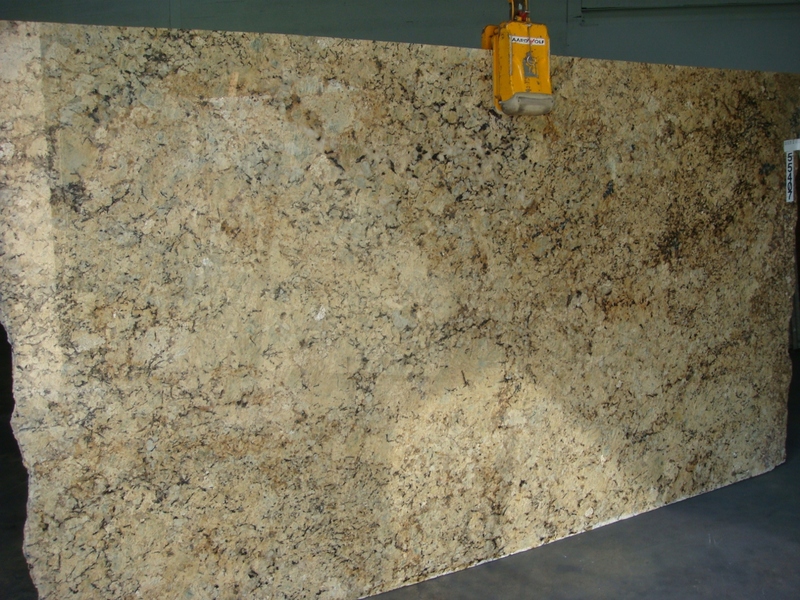 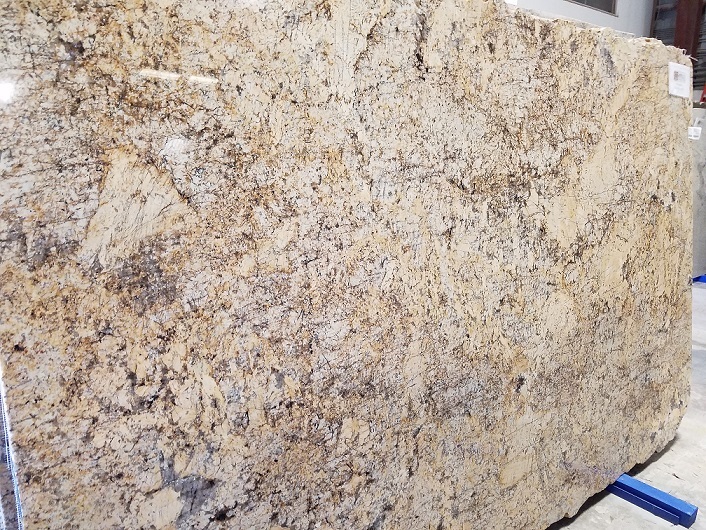 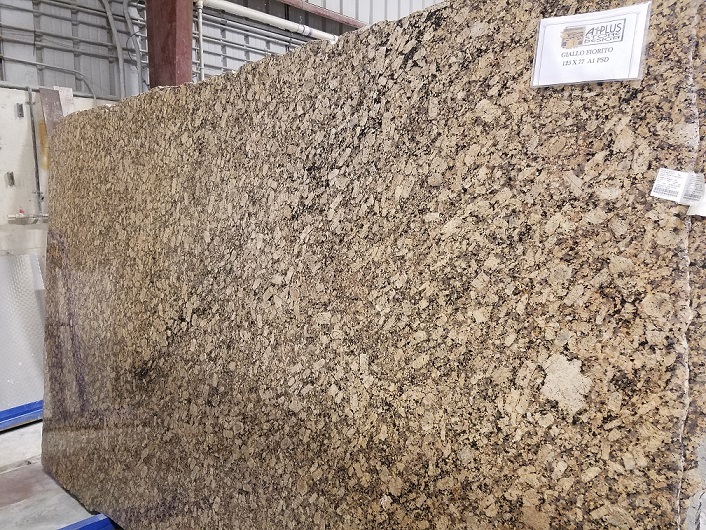 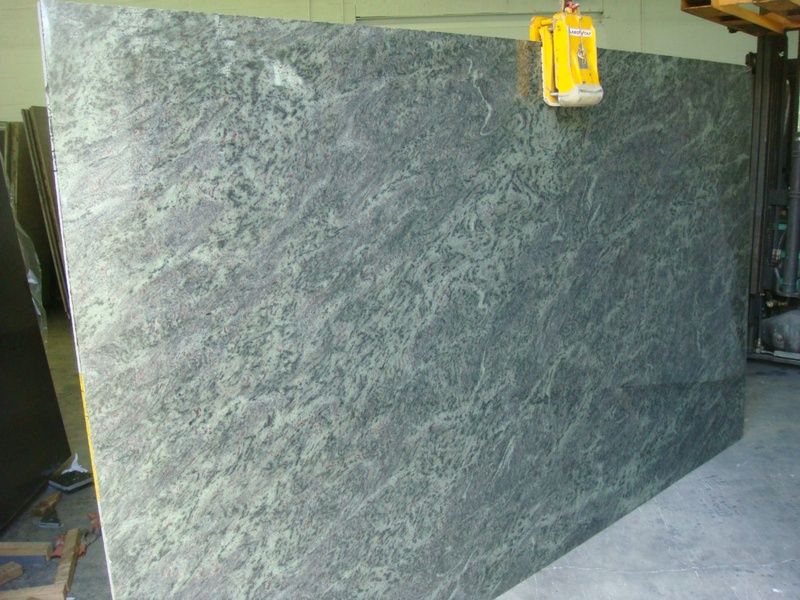 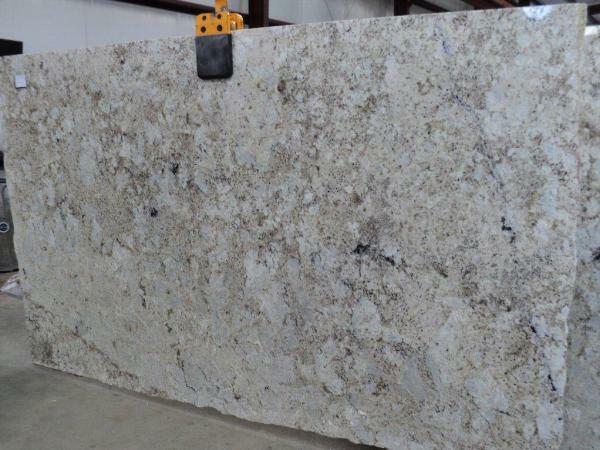 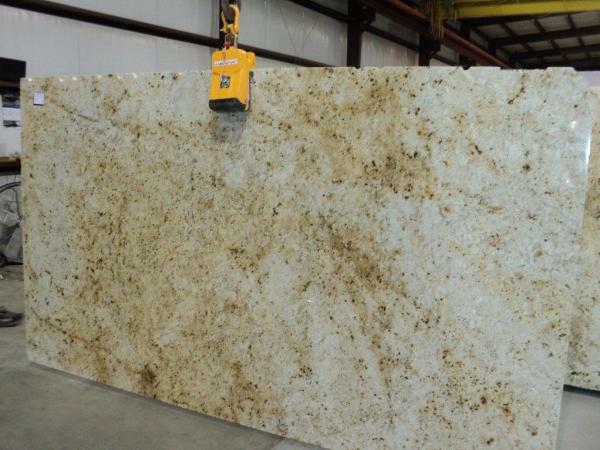 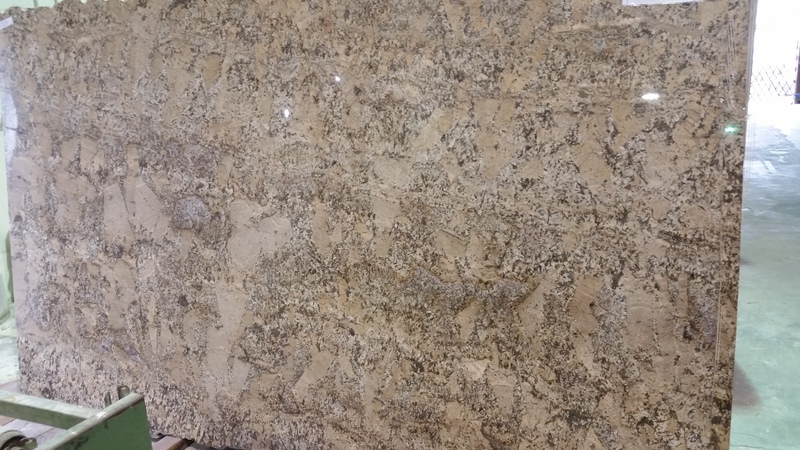 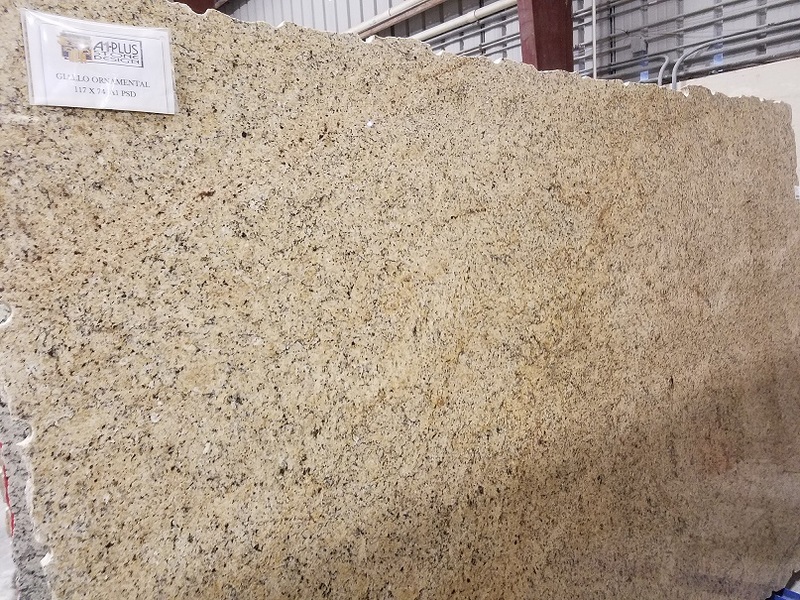 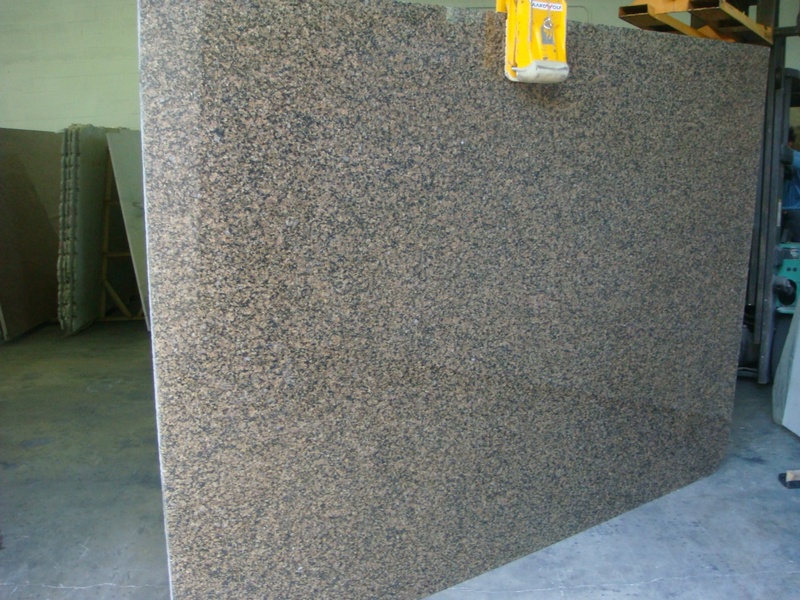 Granite is one of the most common and preferred countertop materials. 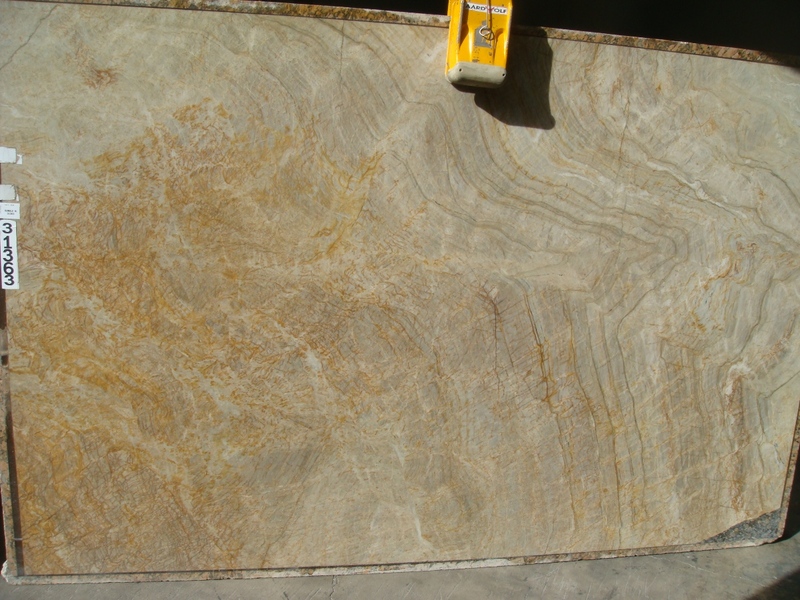 Comes in a variety of colors and it is solid, durable and stain resistant. 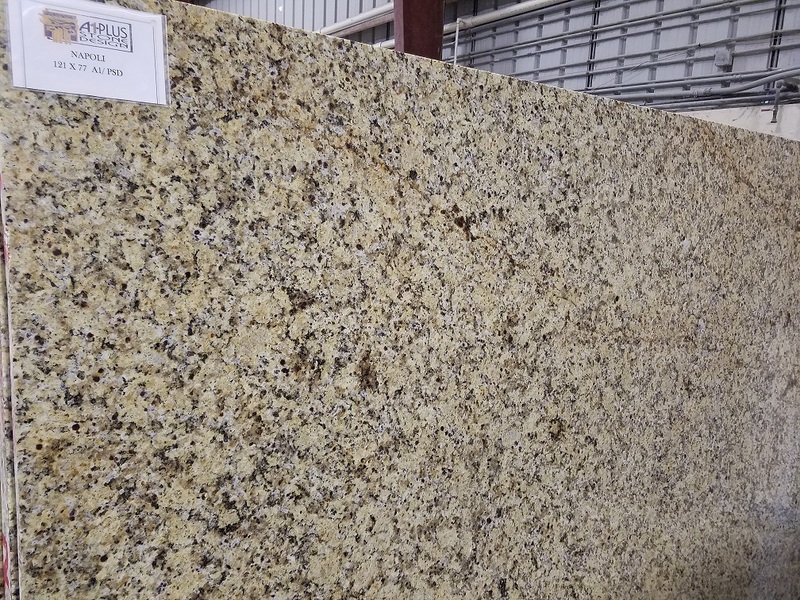 It can withstand heat associated with cooking or serving food. 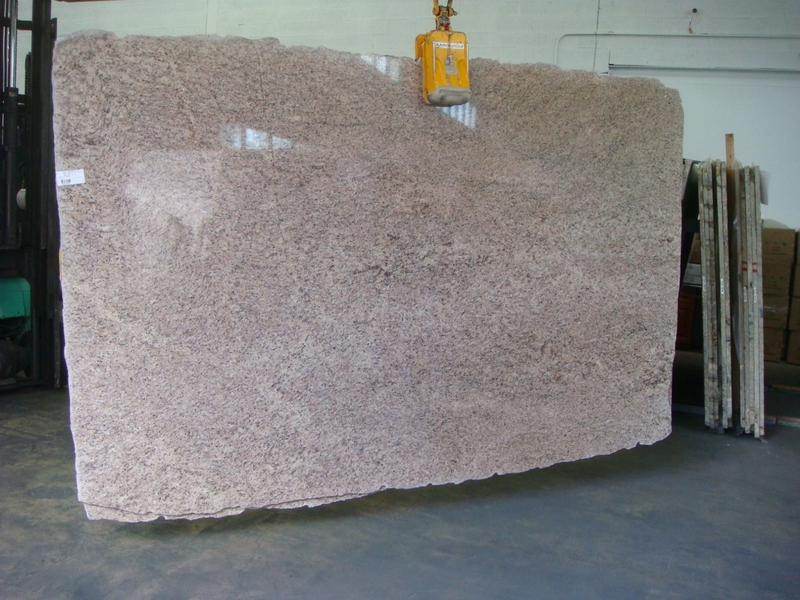 It does not break, crack or scratch with normal use. 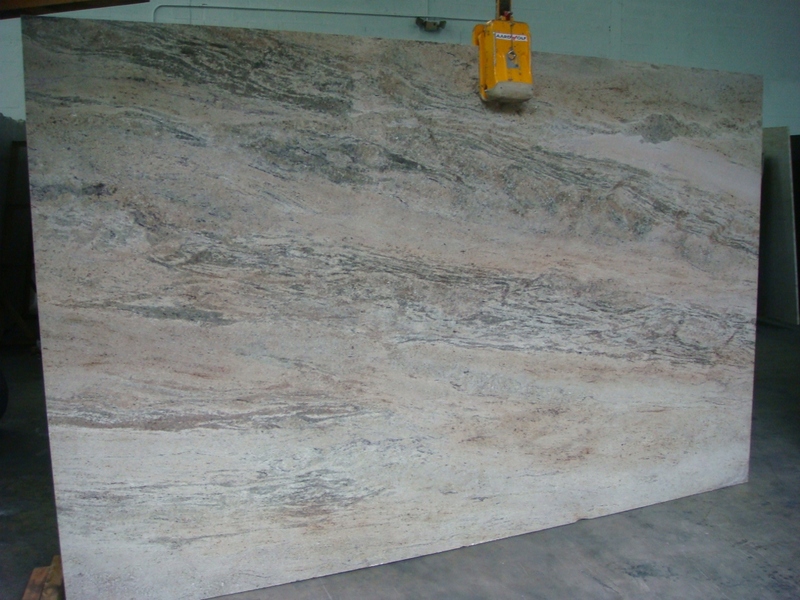 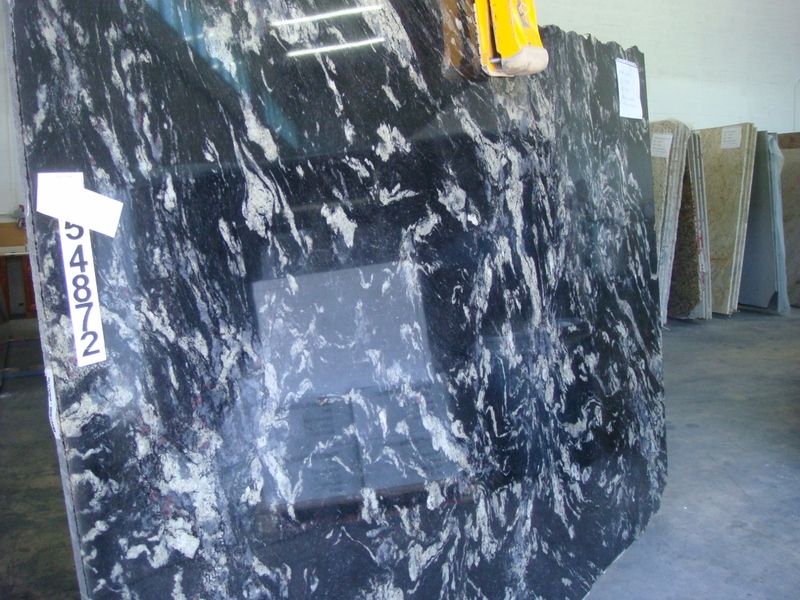 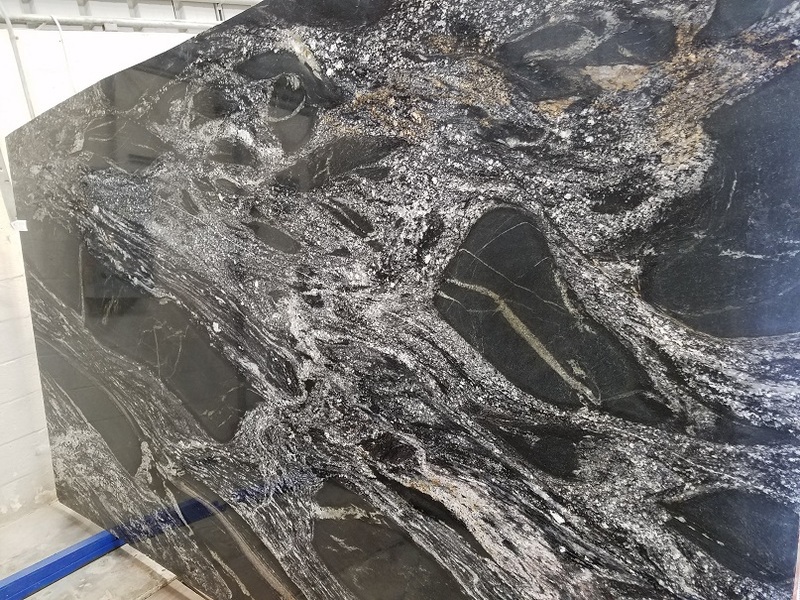 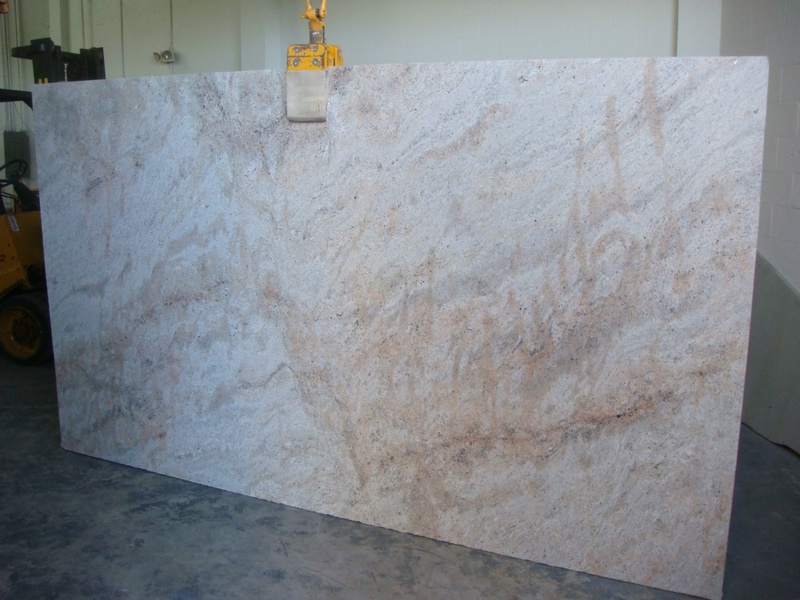 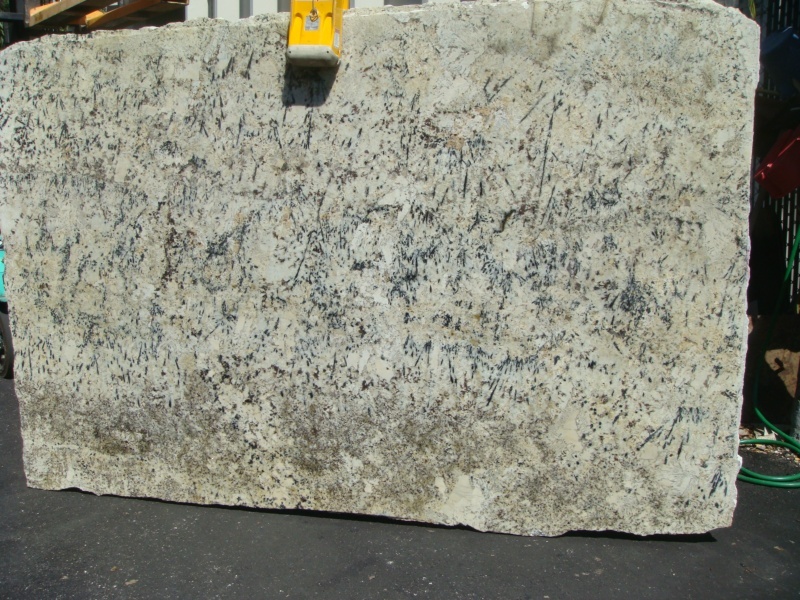 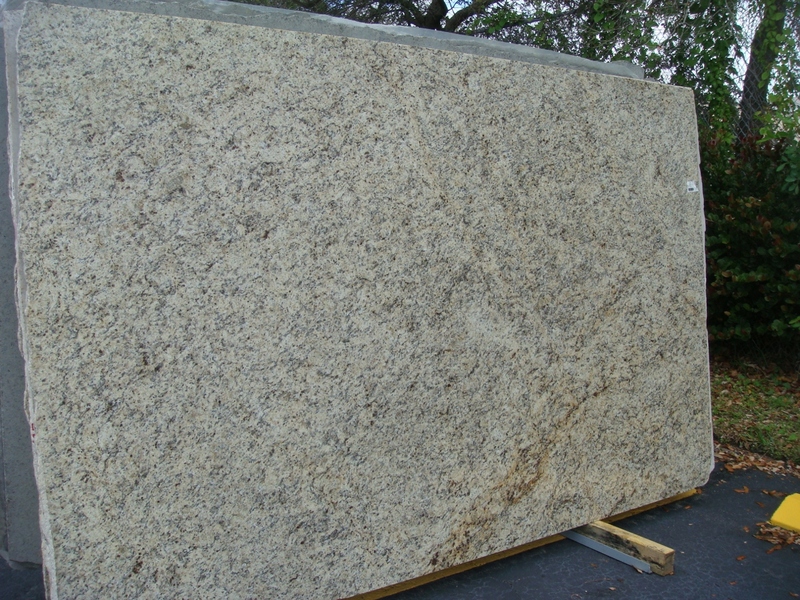 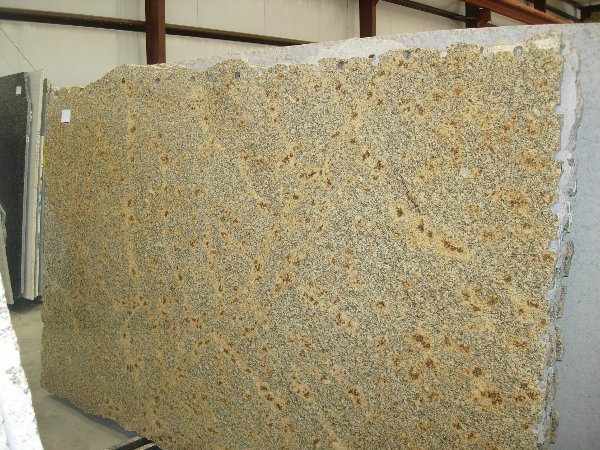 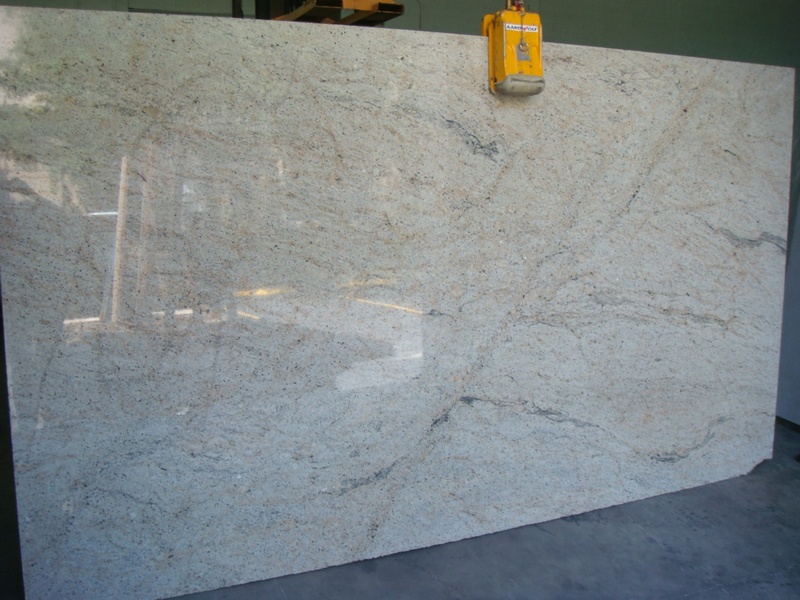 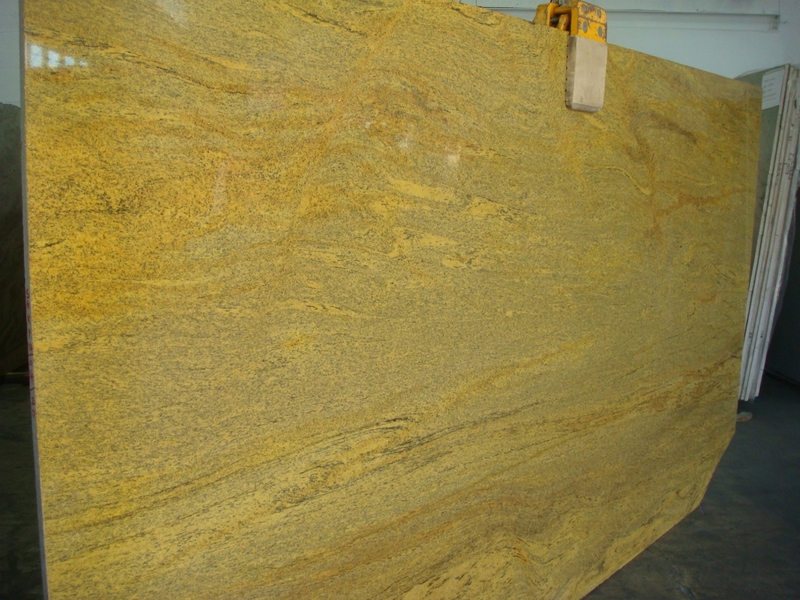 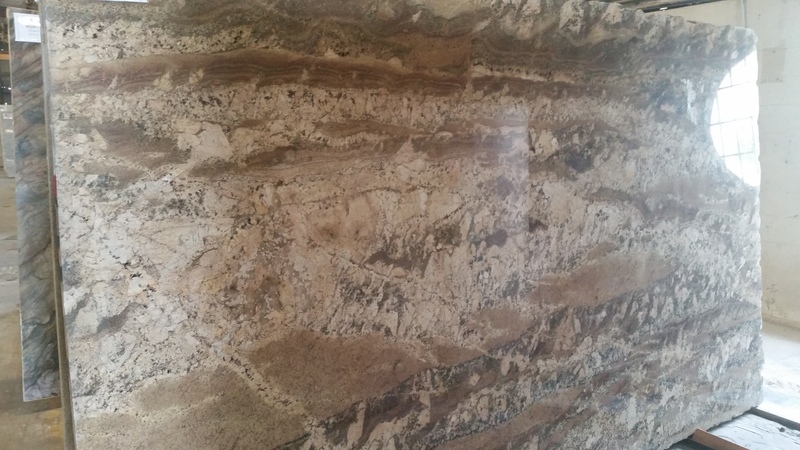 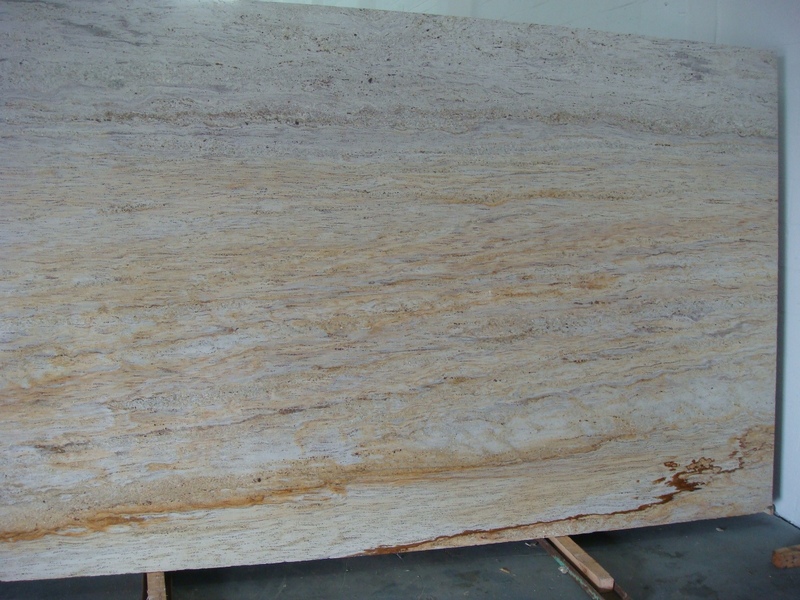 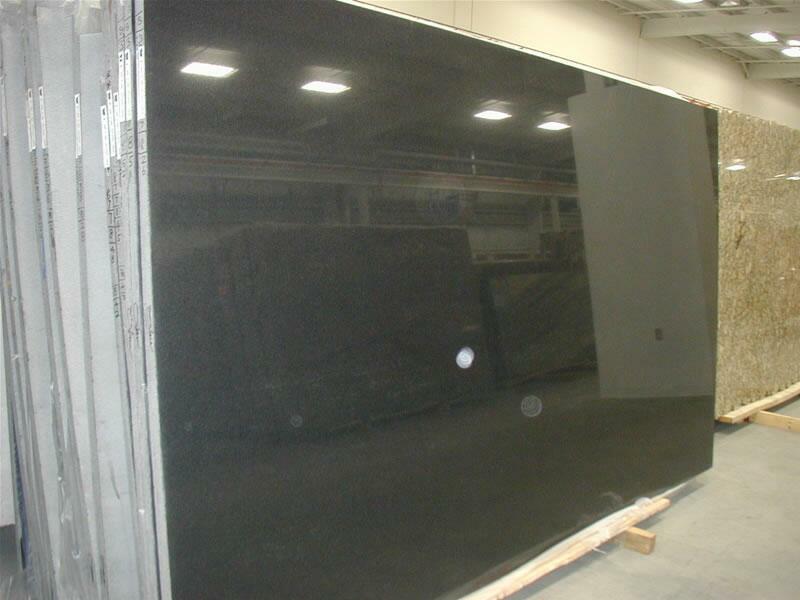 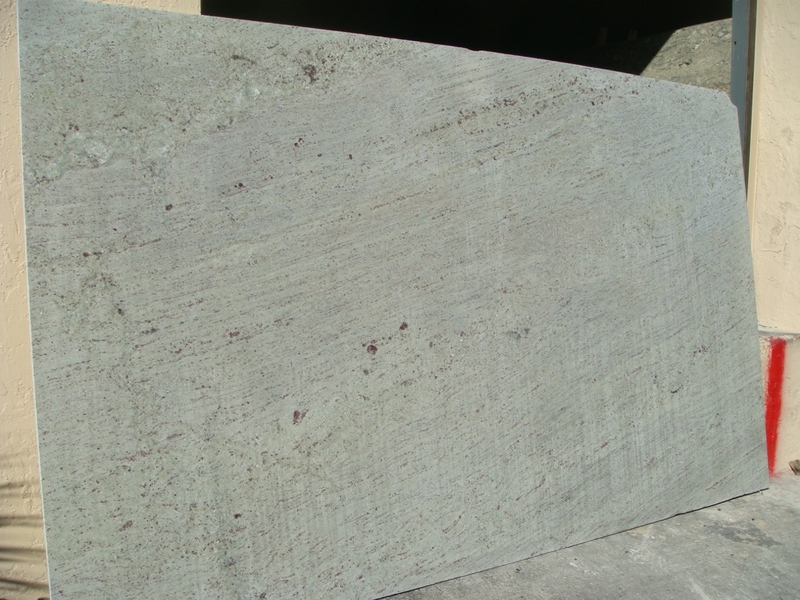 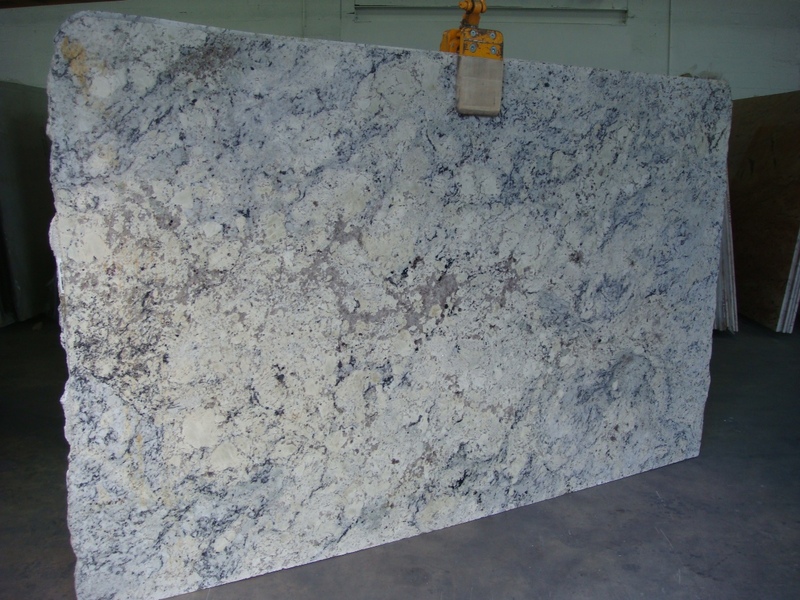 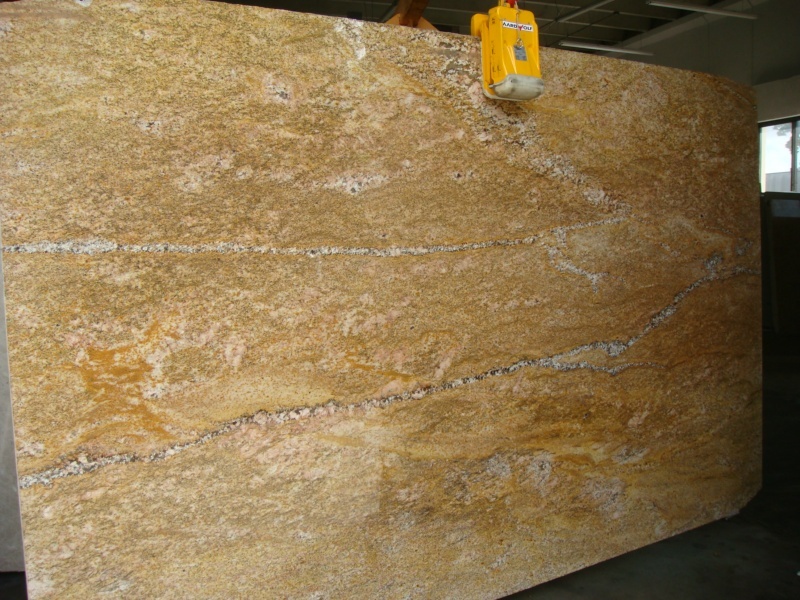 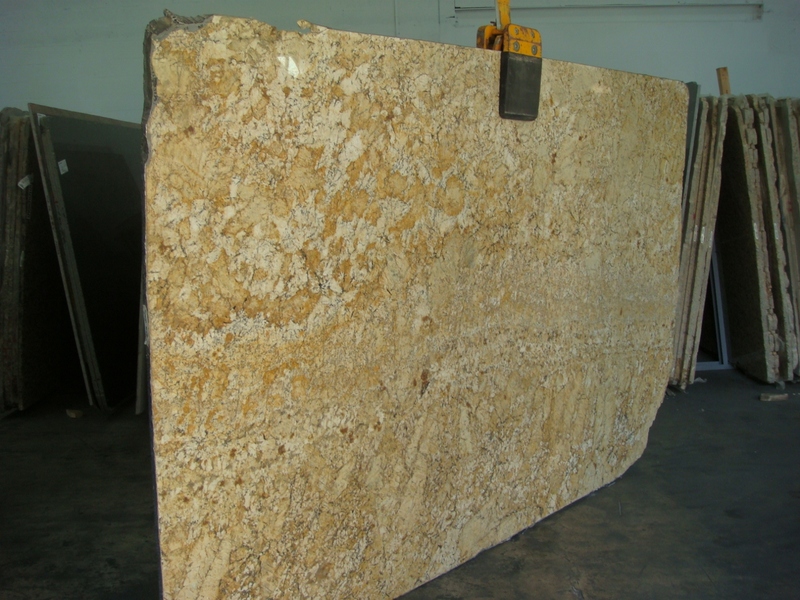 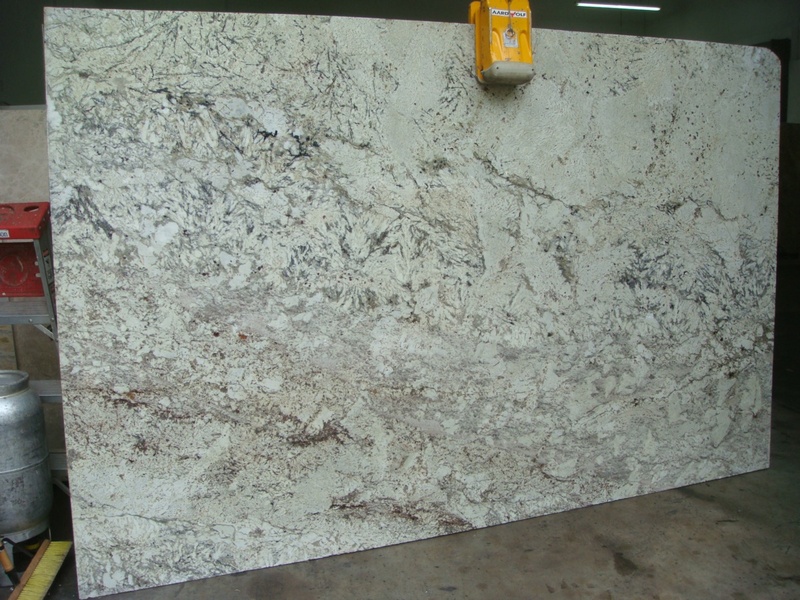 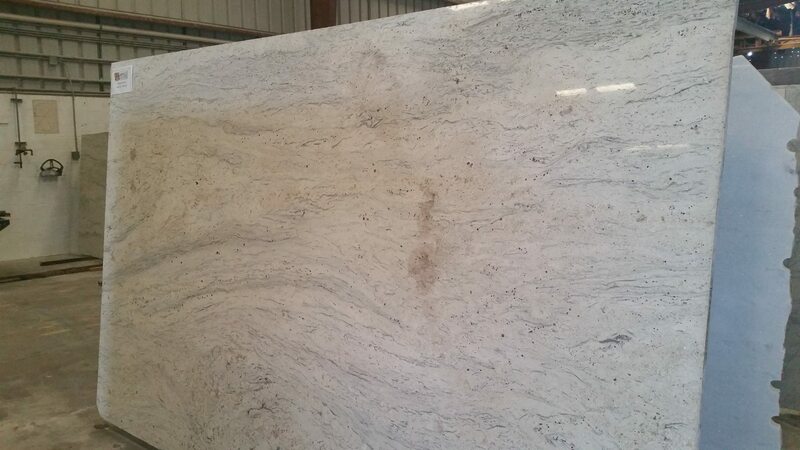 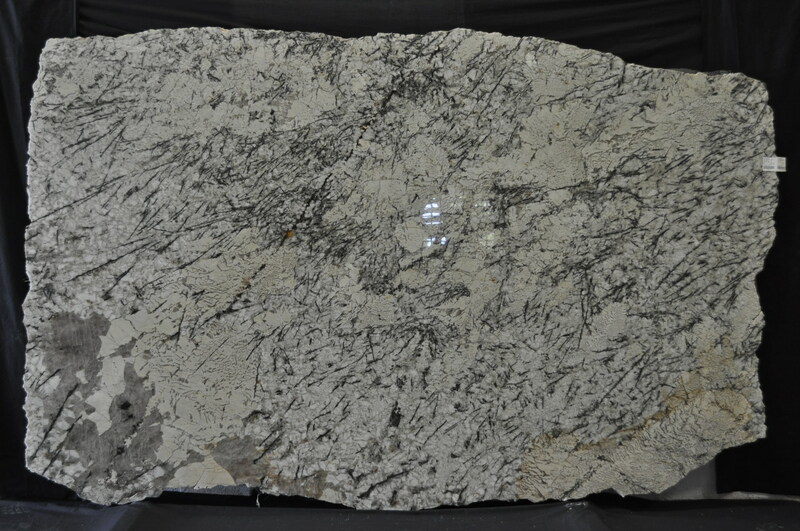 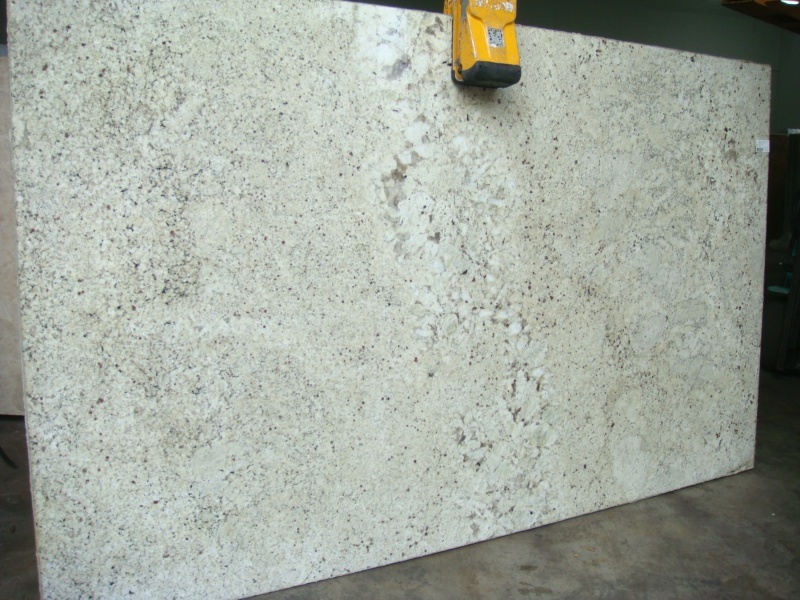 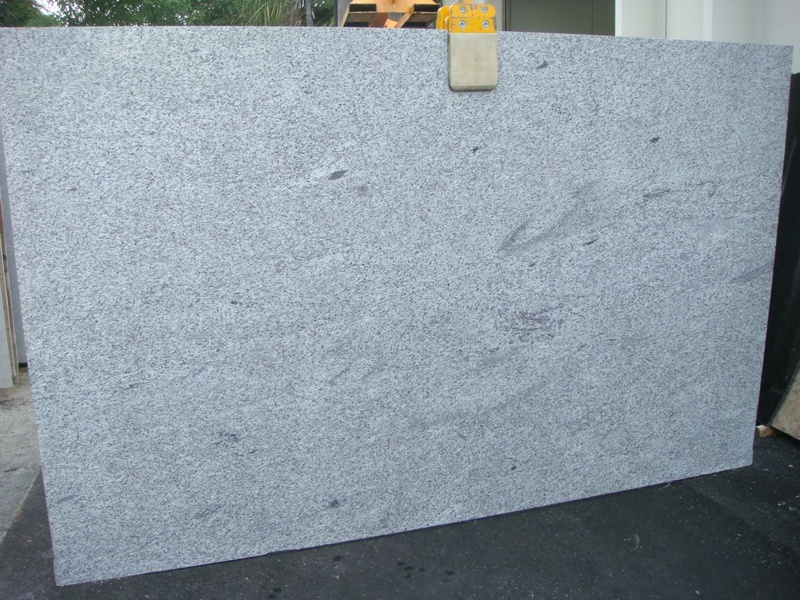 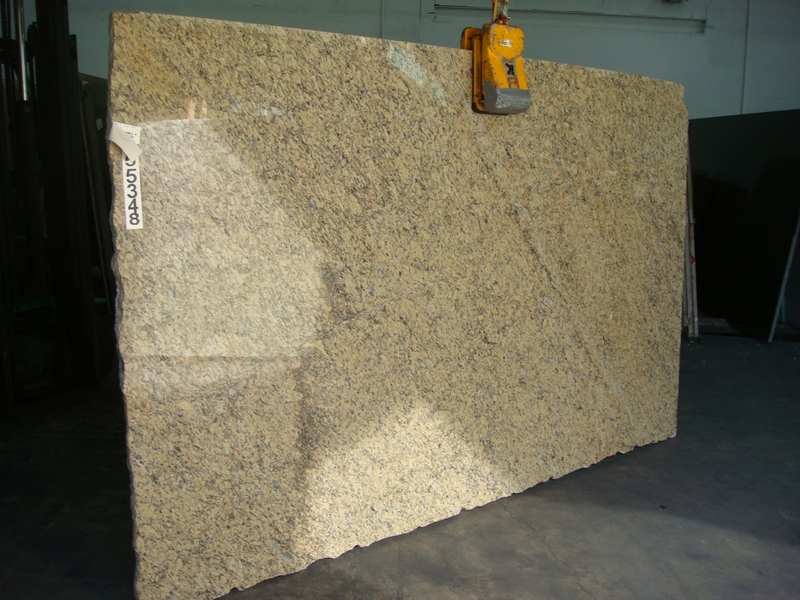 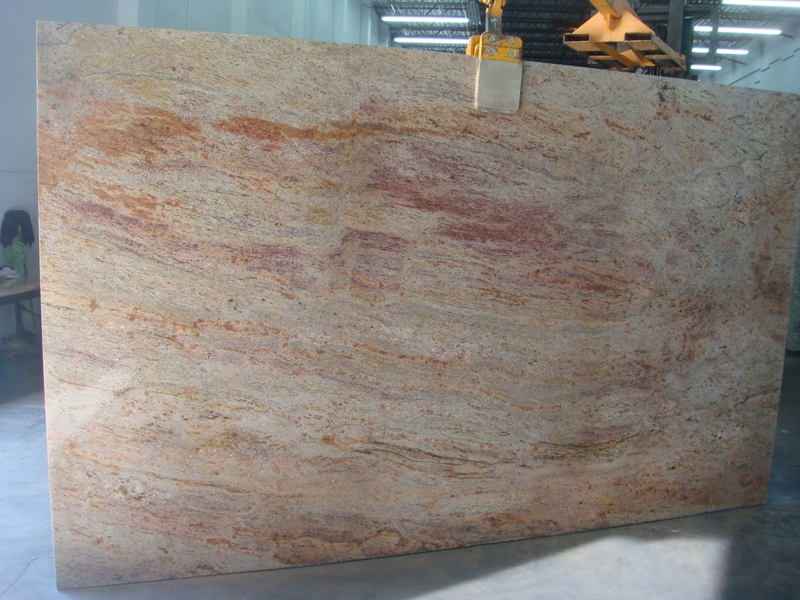 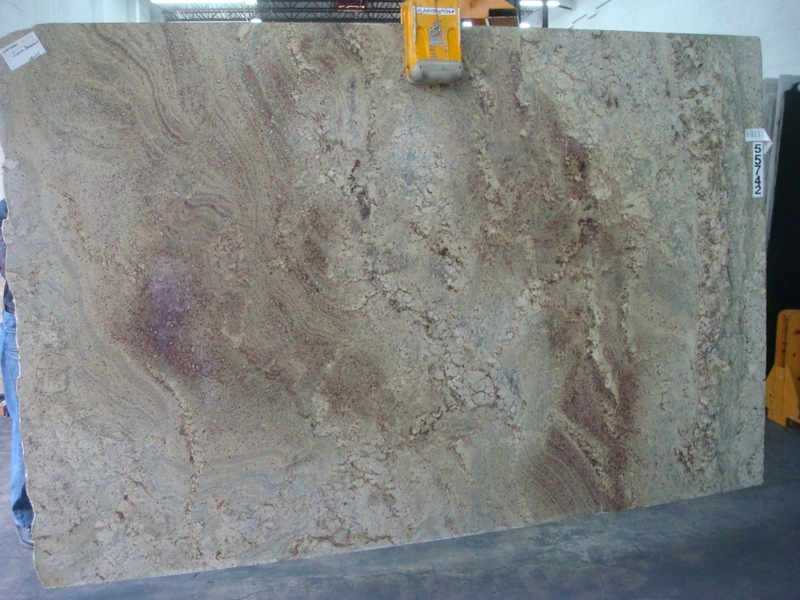 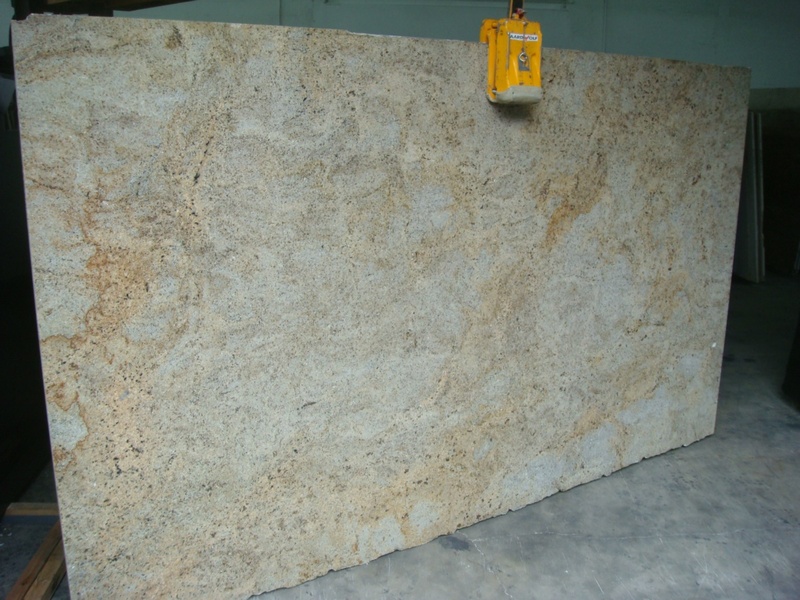 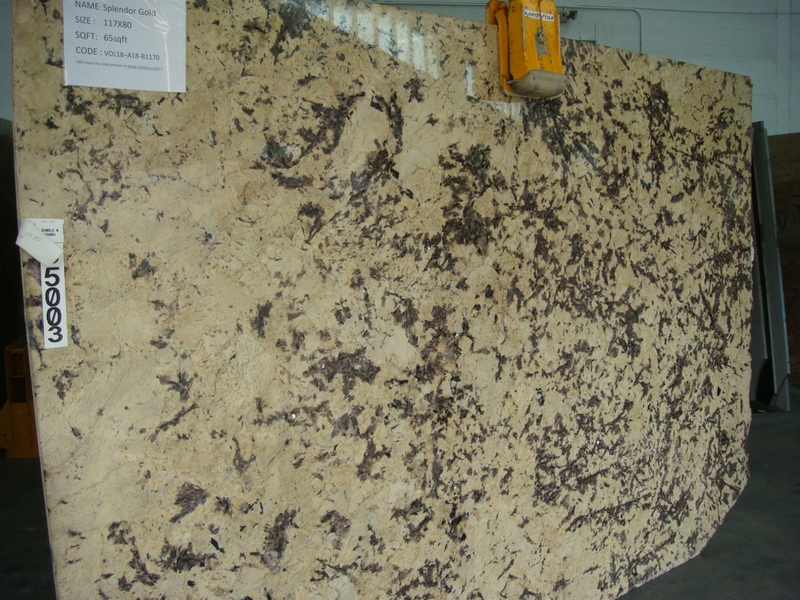 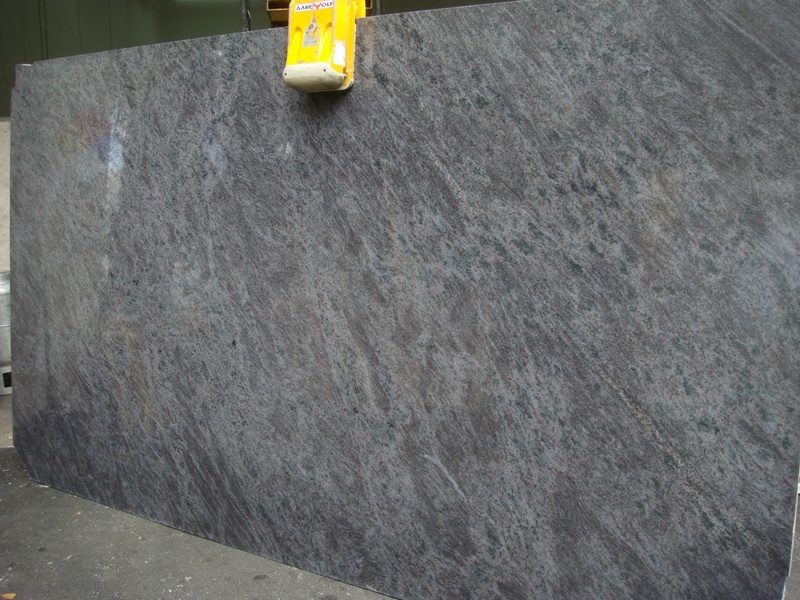 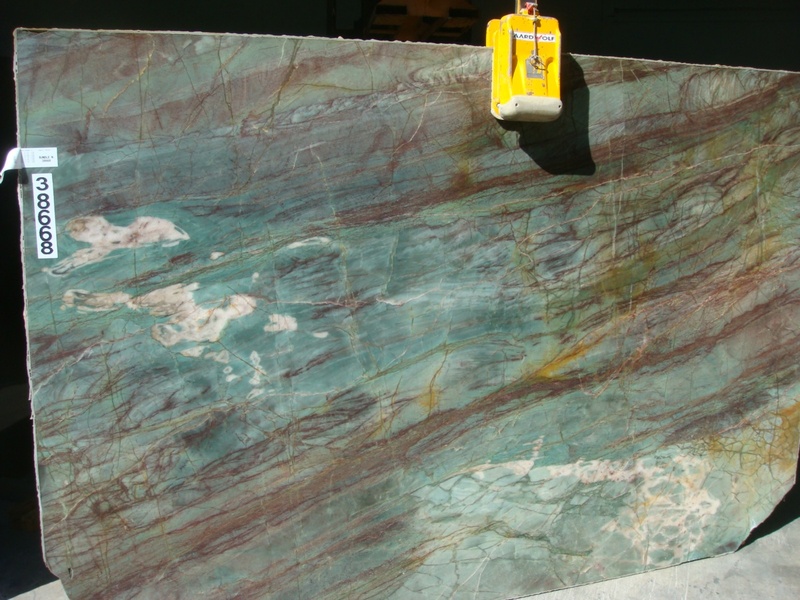 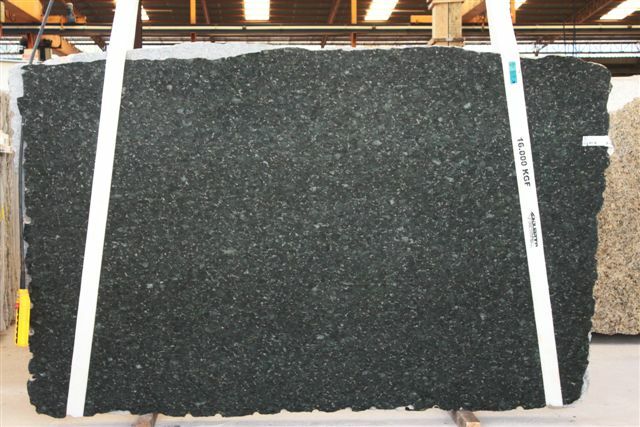 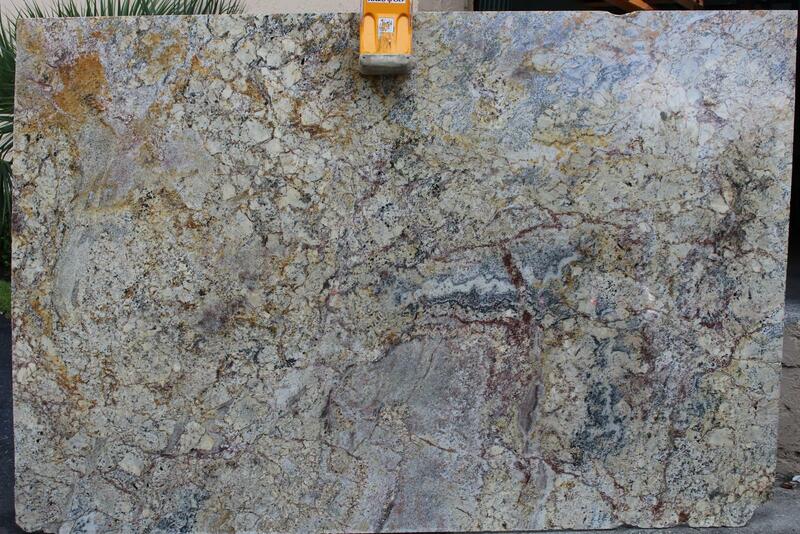 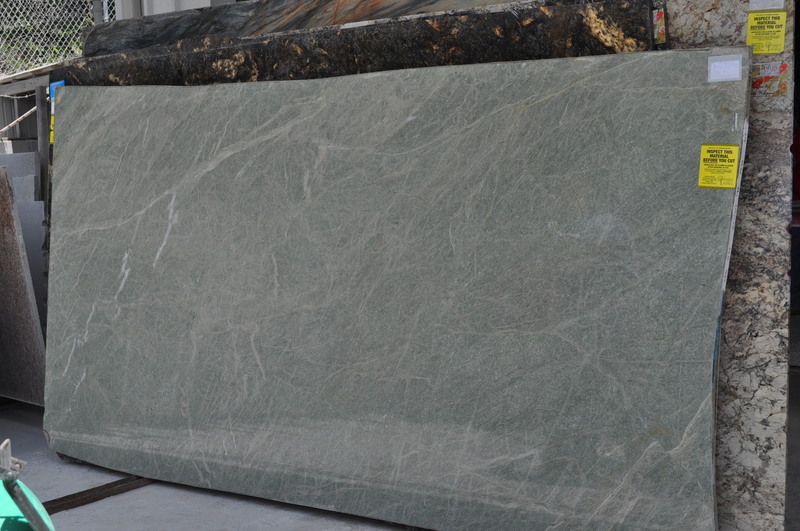 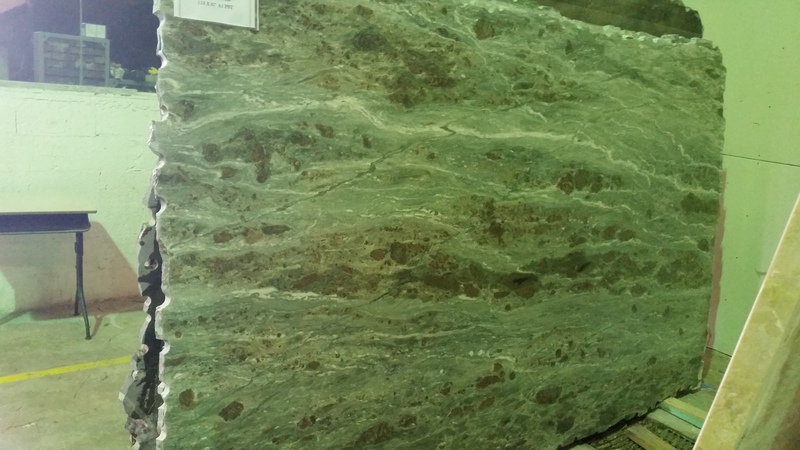 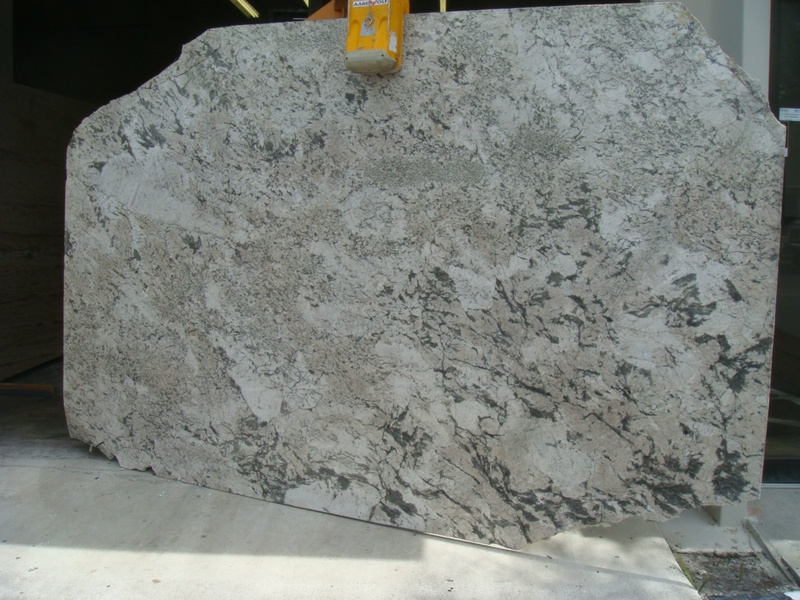 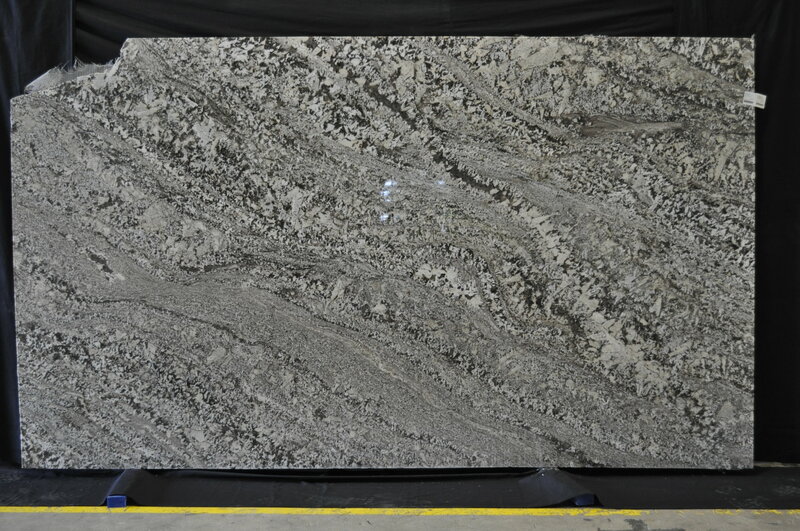 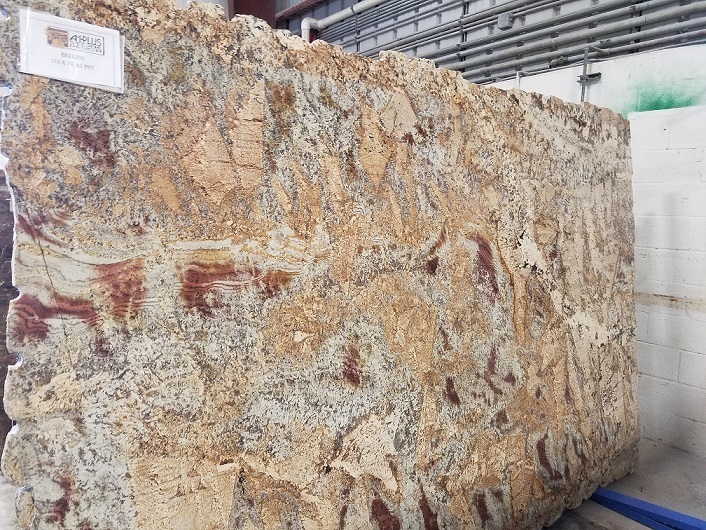 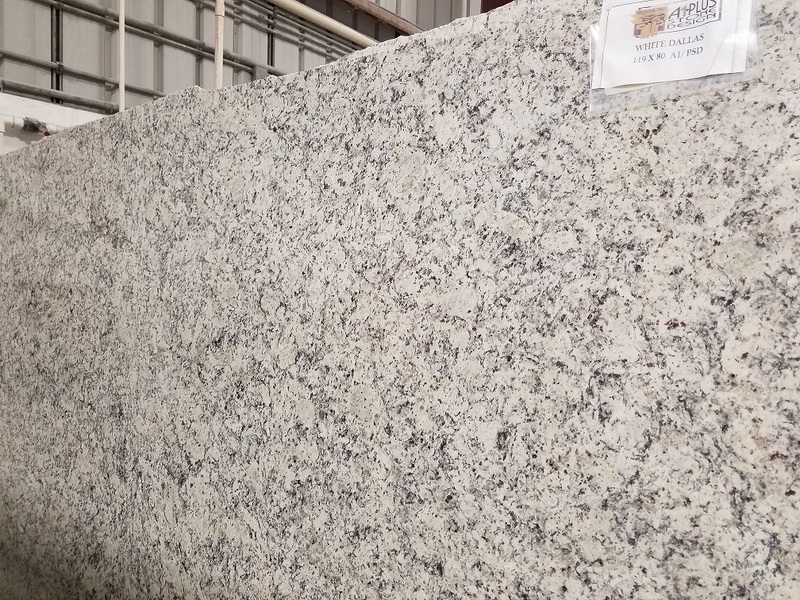 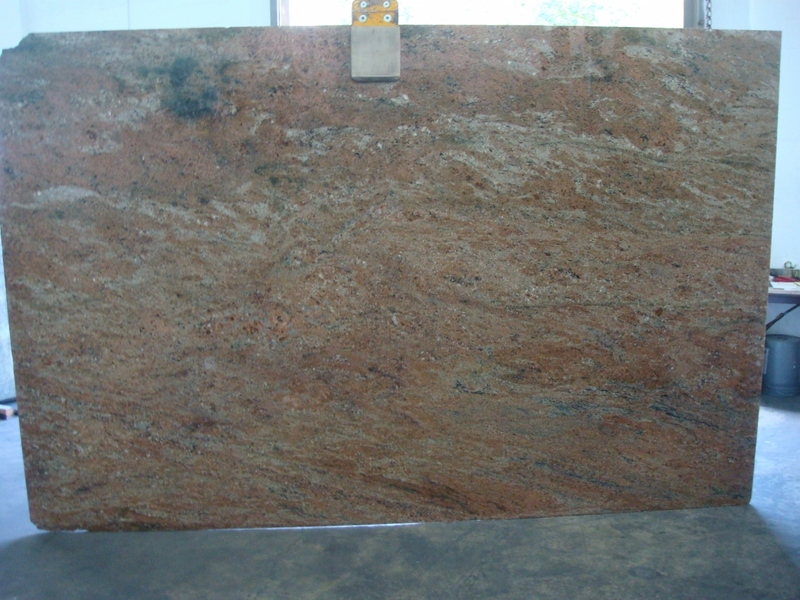 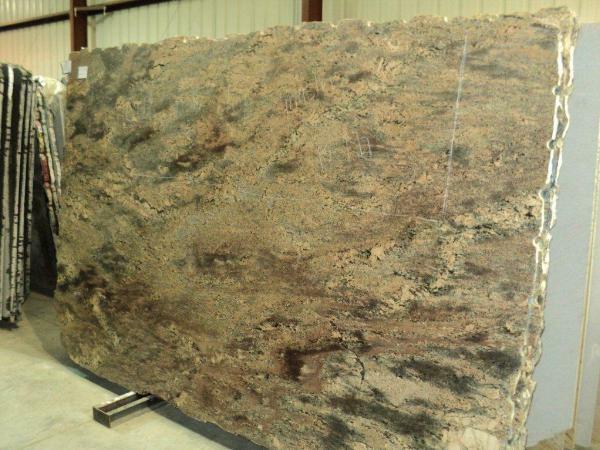 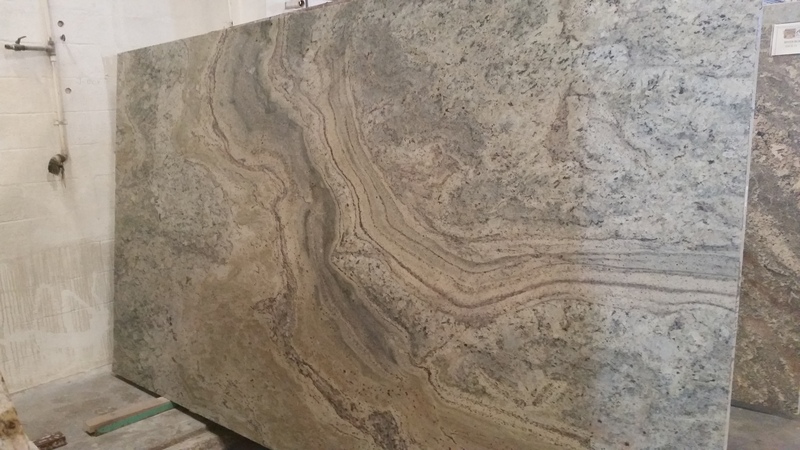 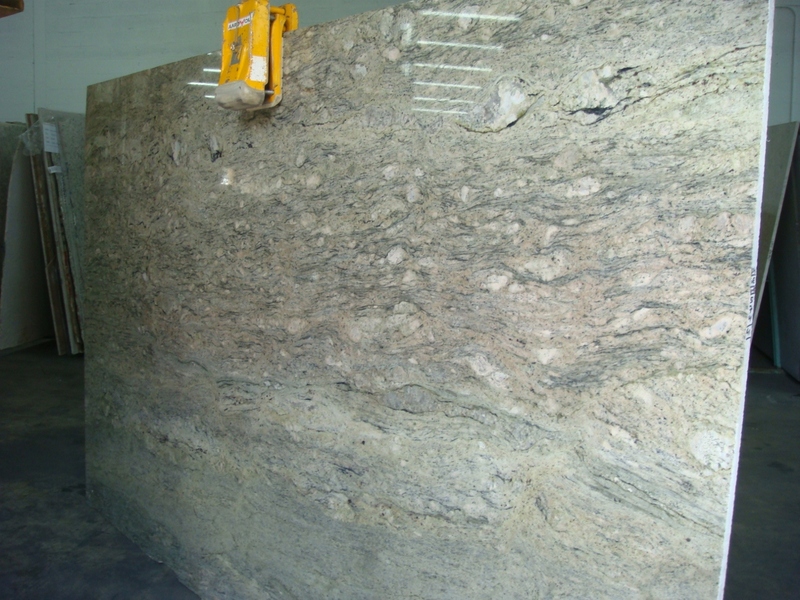 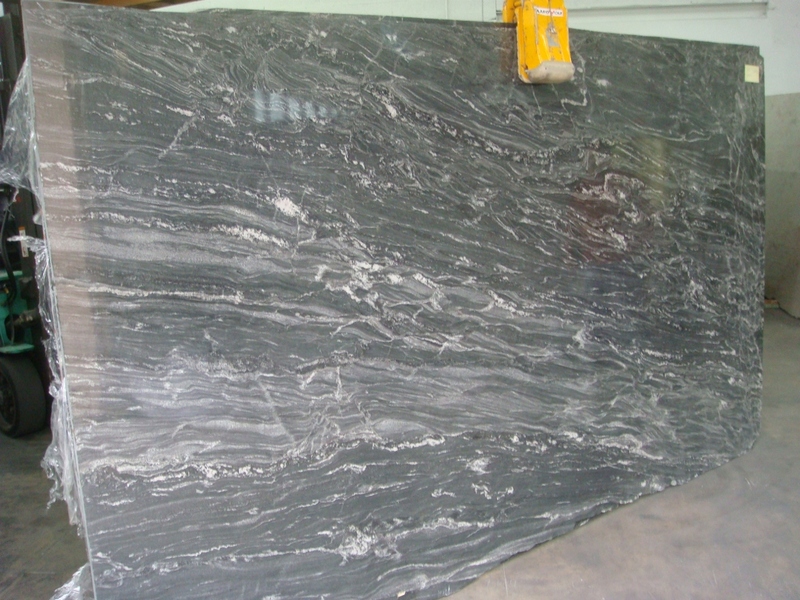 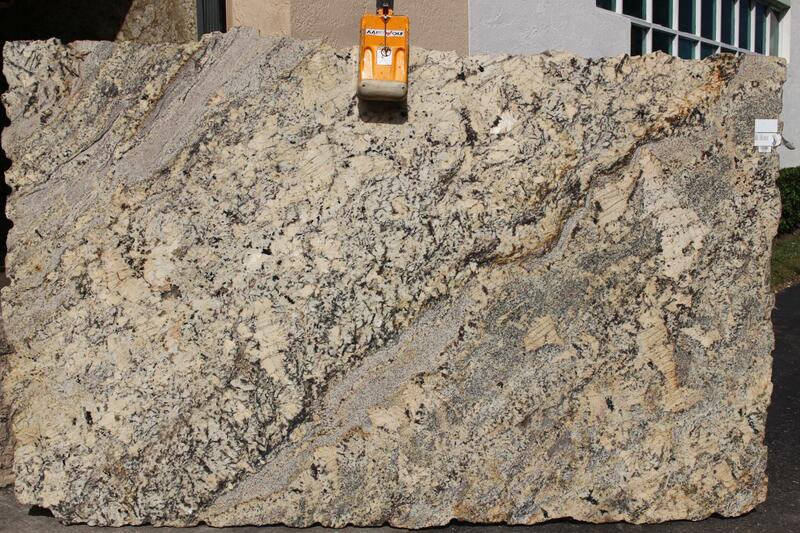 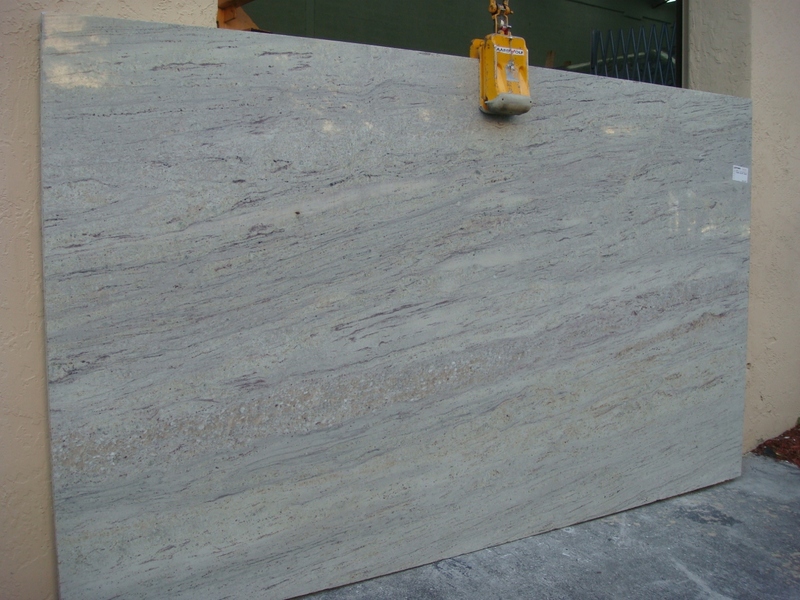 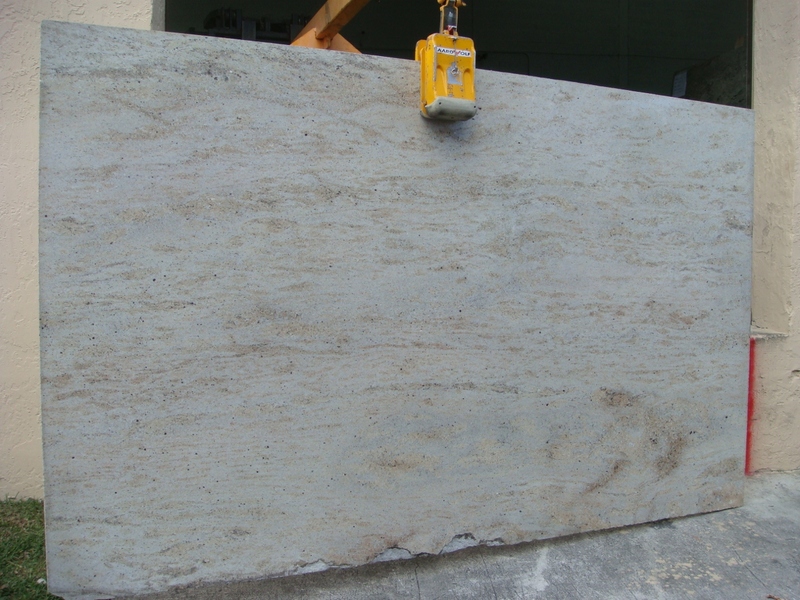 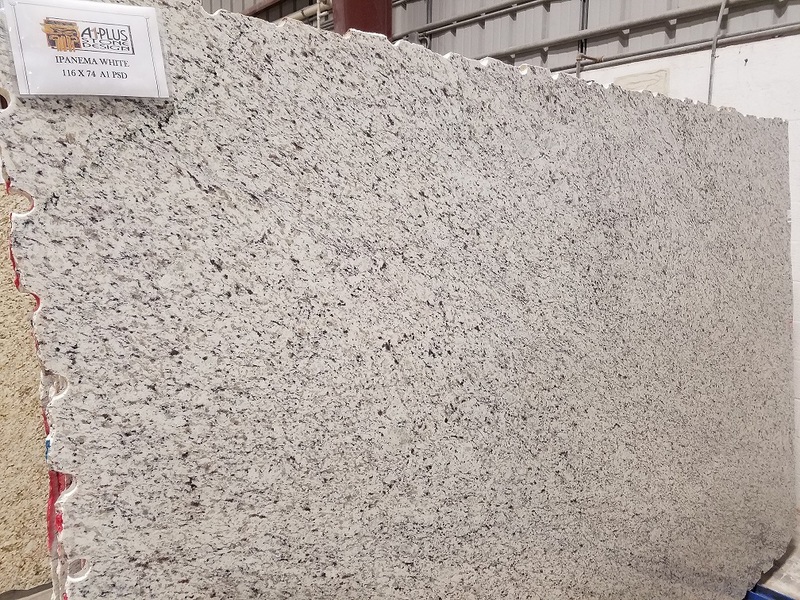 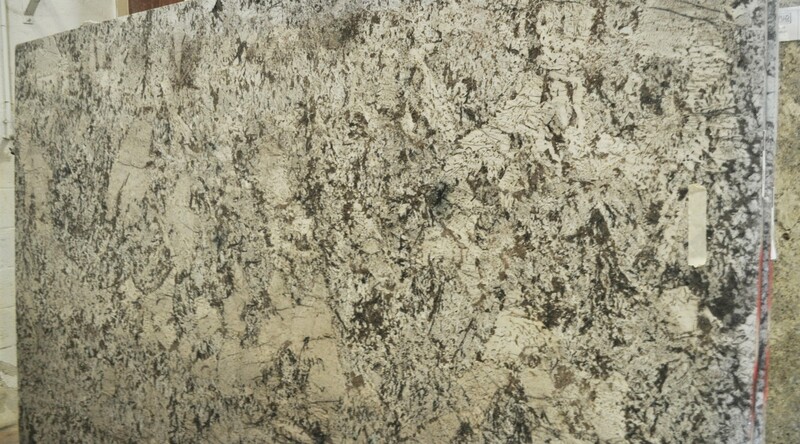 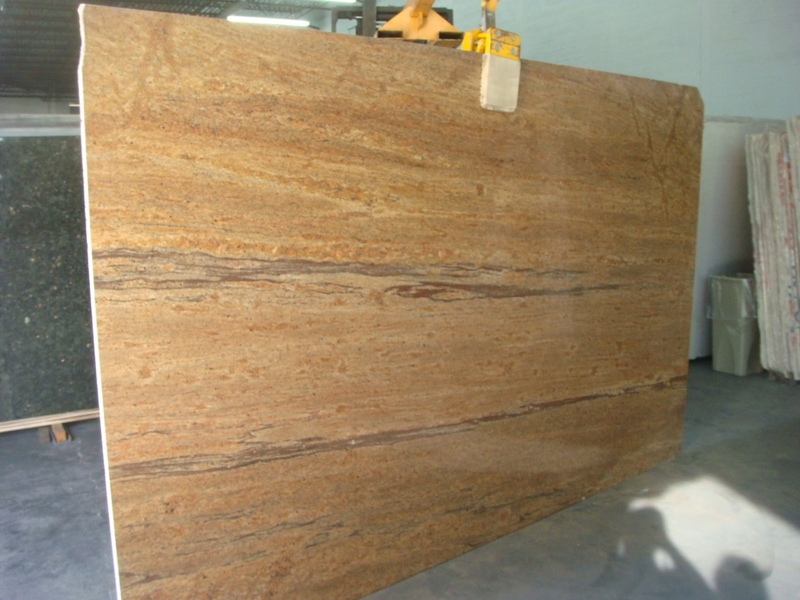 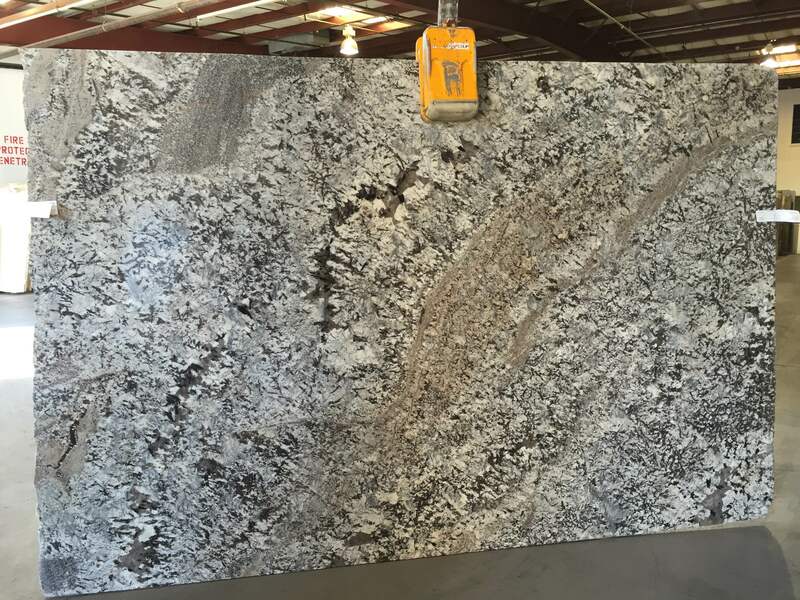 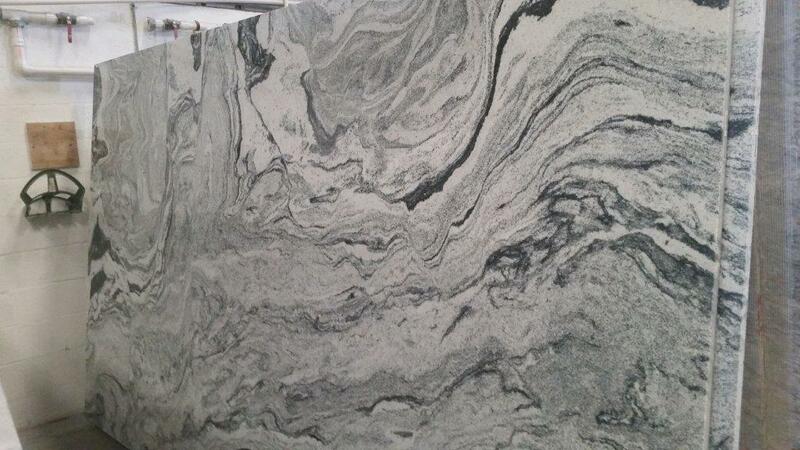 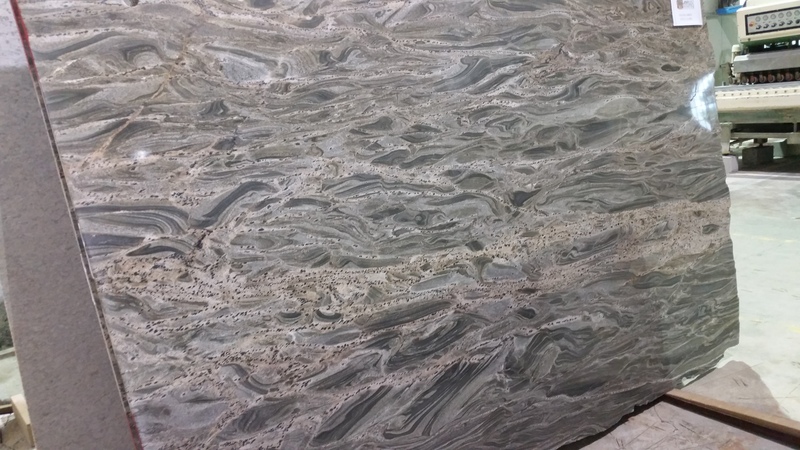 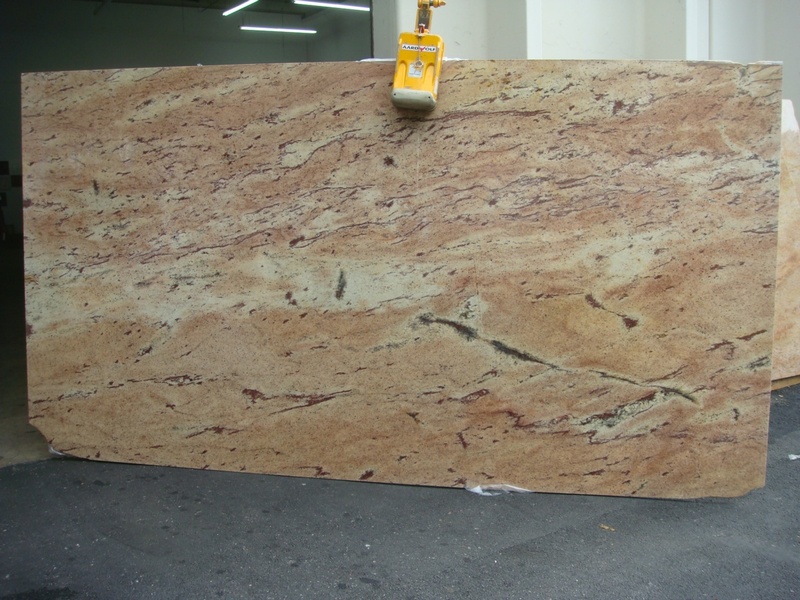 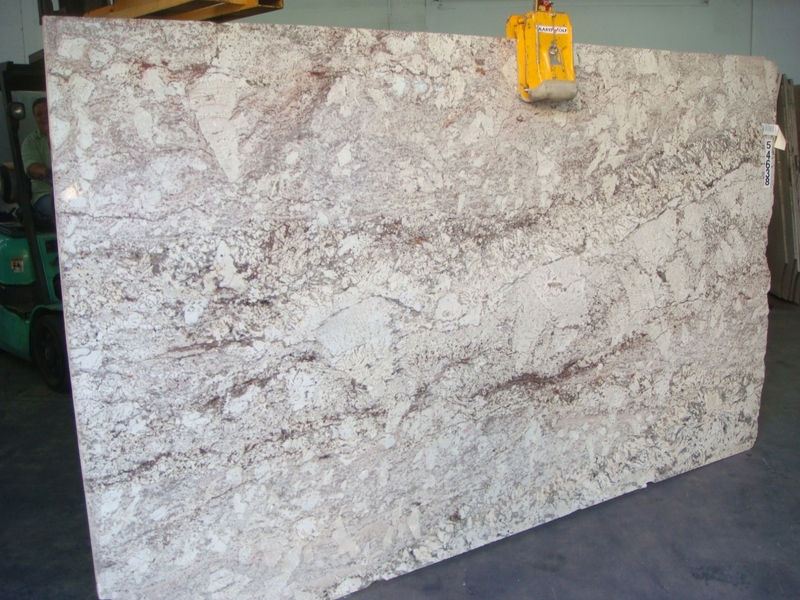 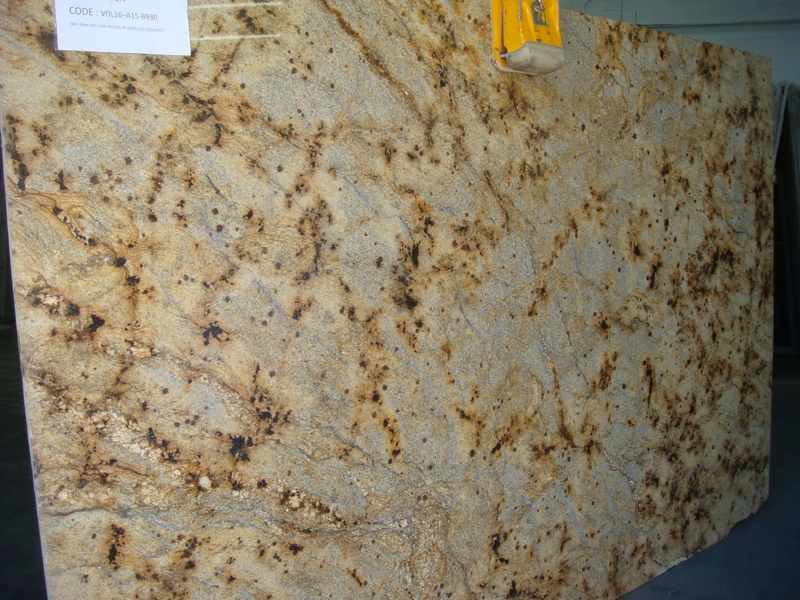 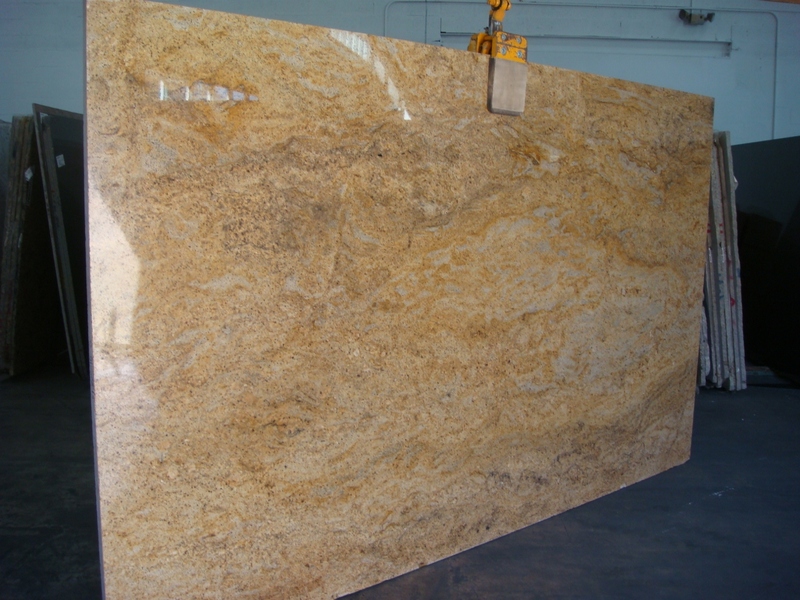 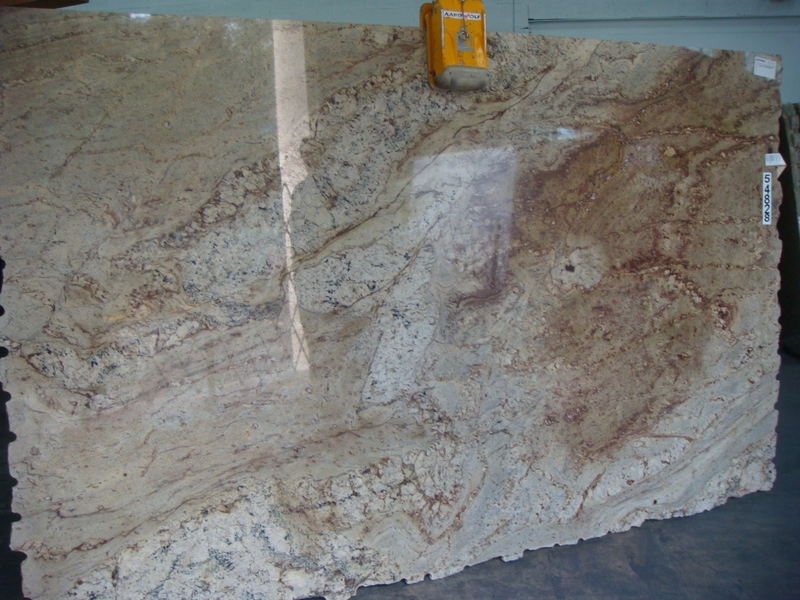 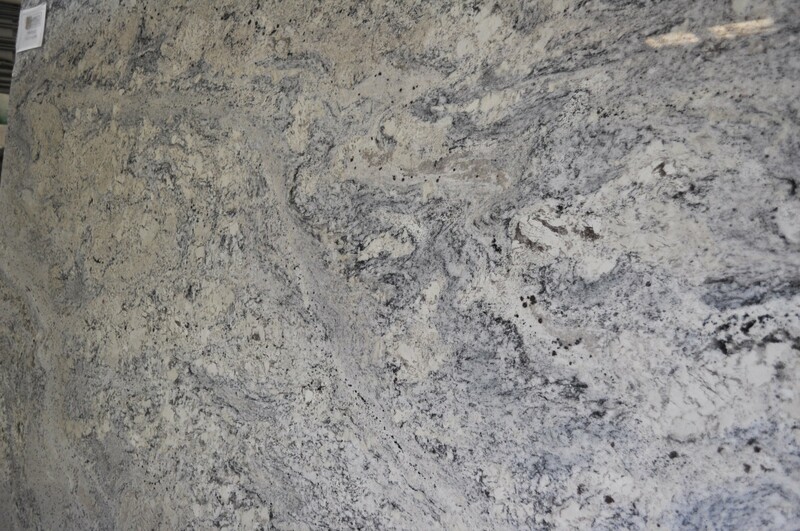 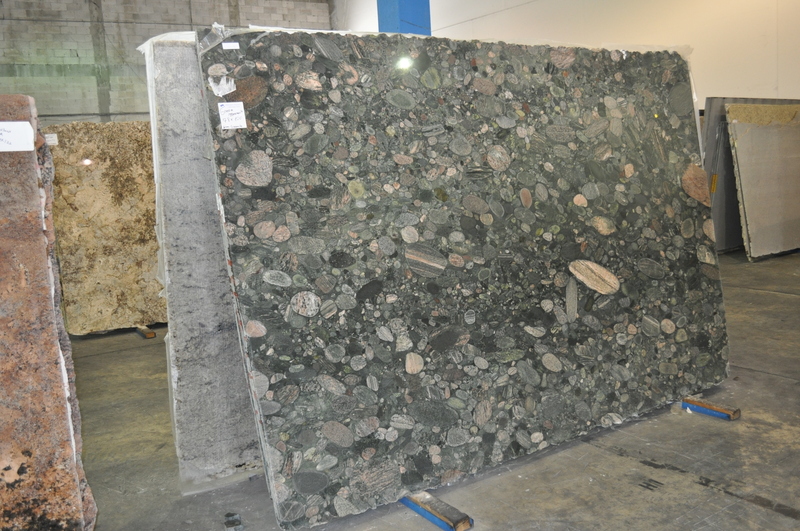 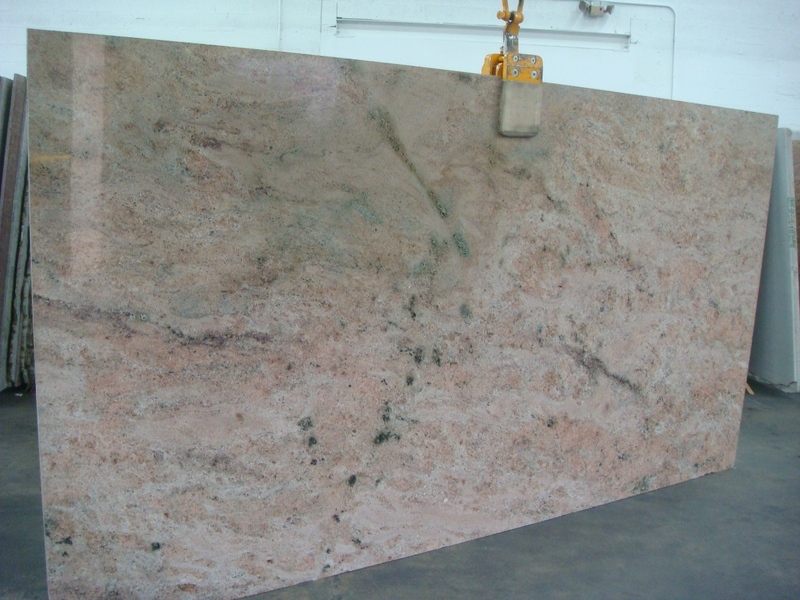 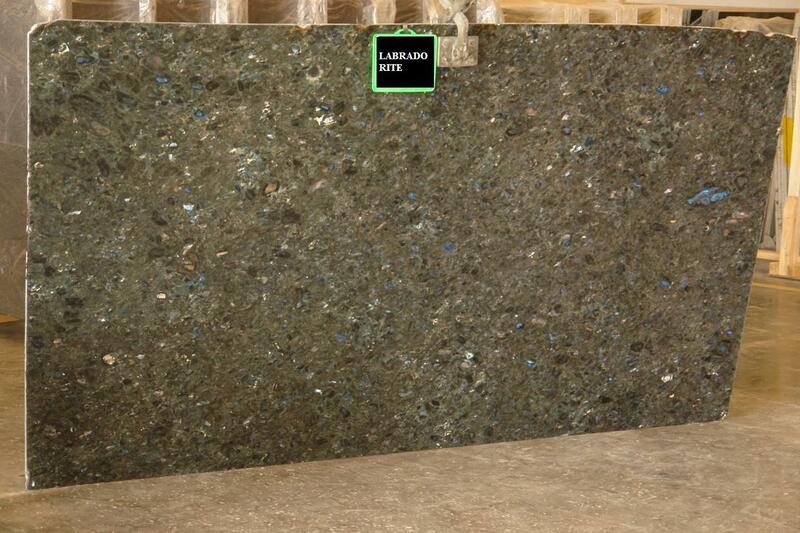 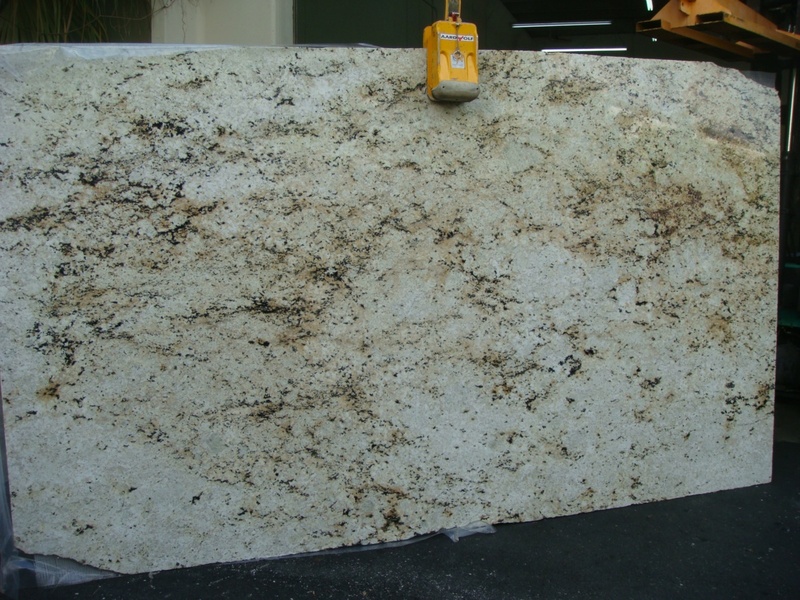 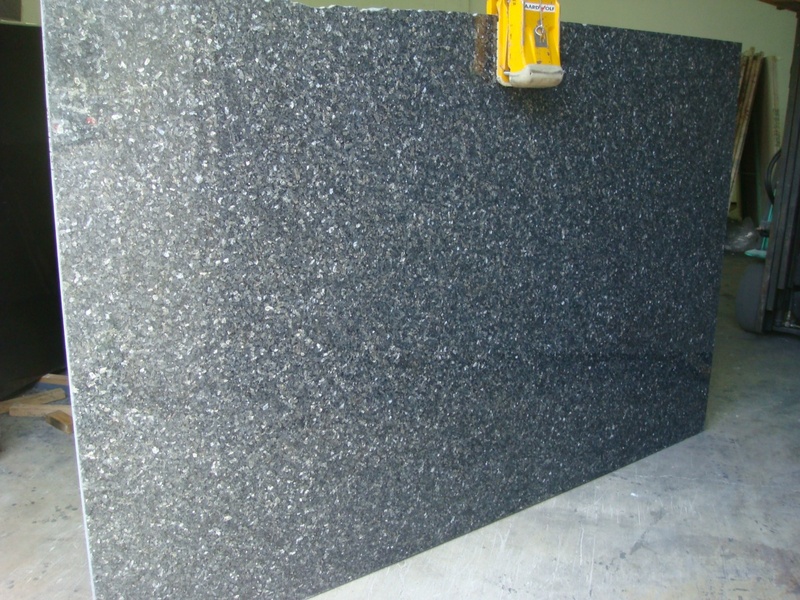 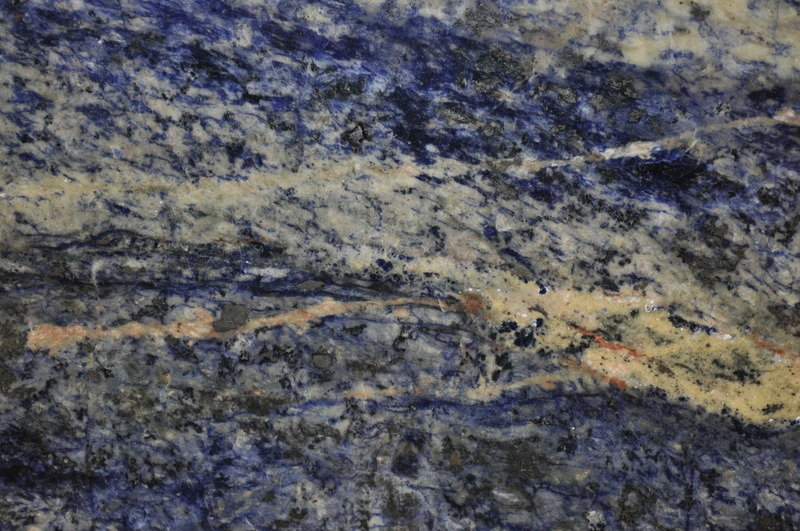 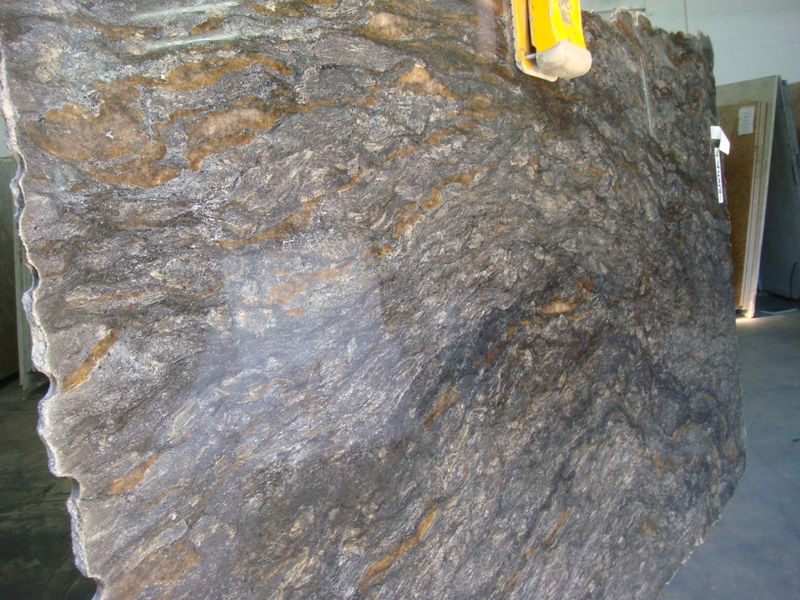 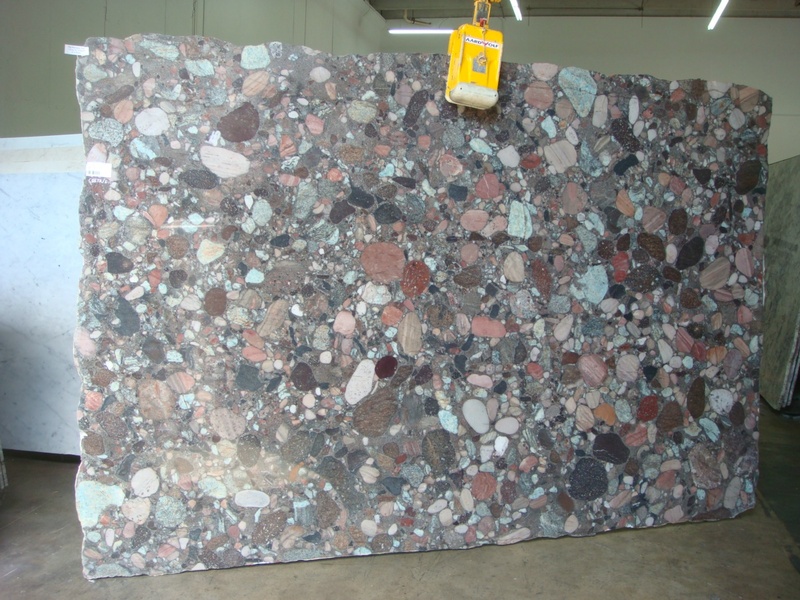 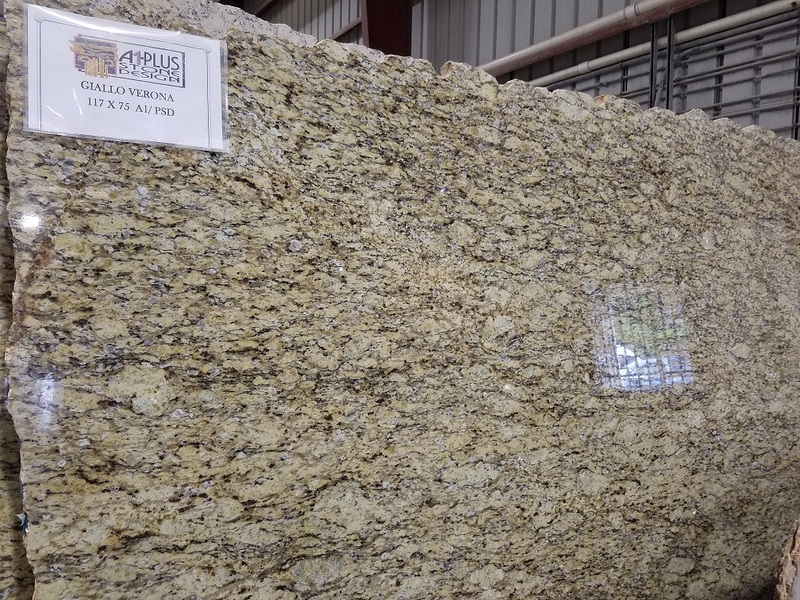 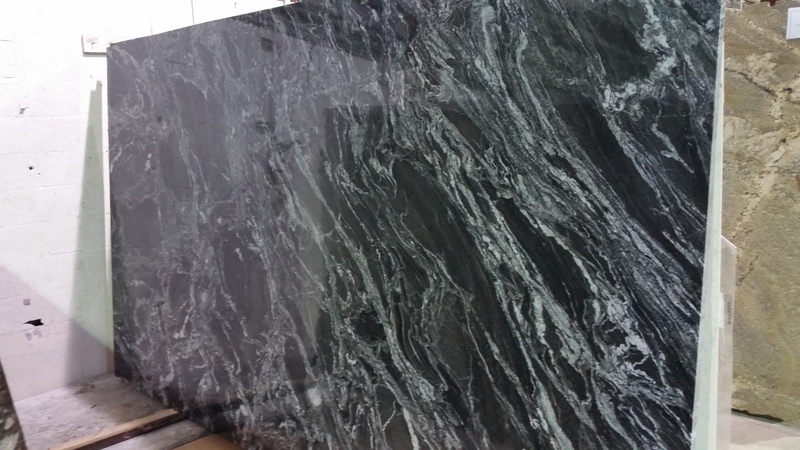 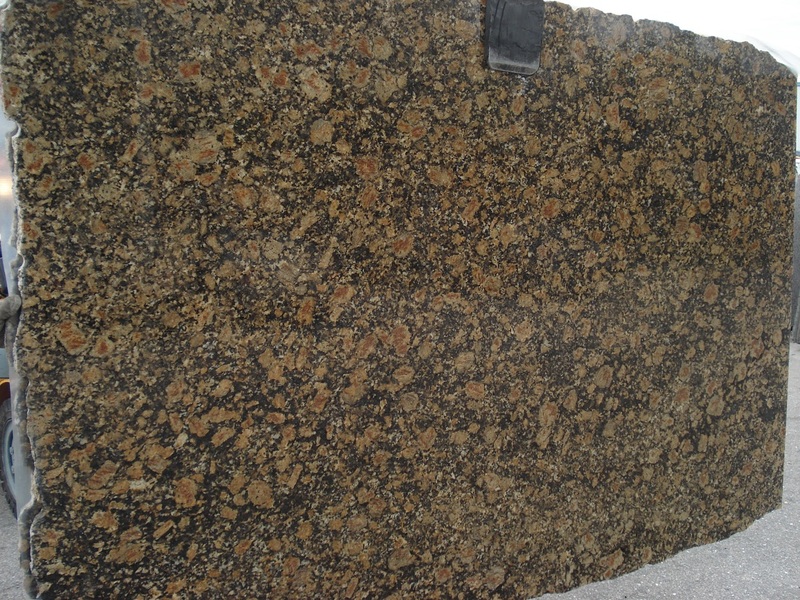 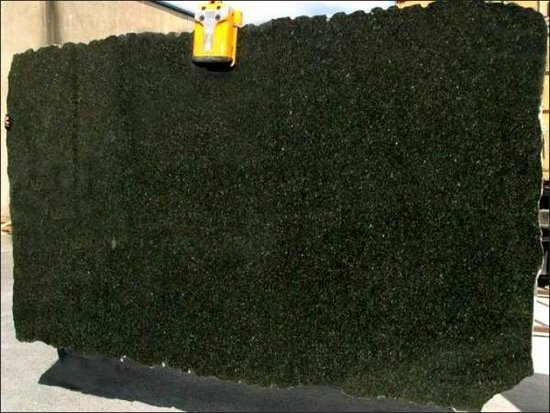 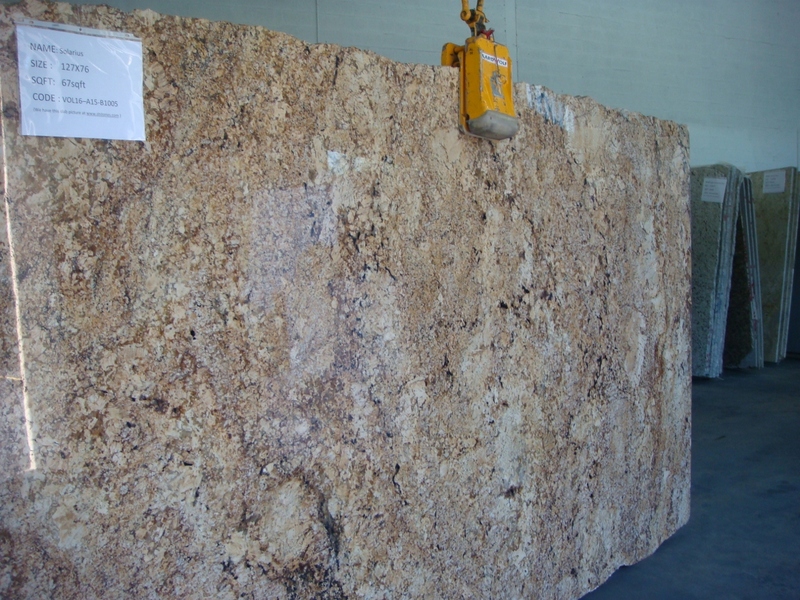 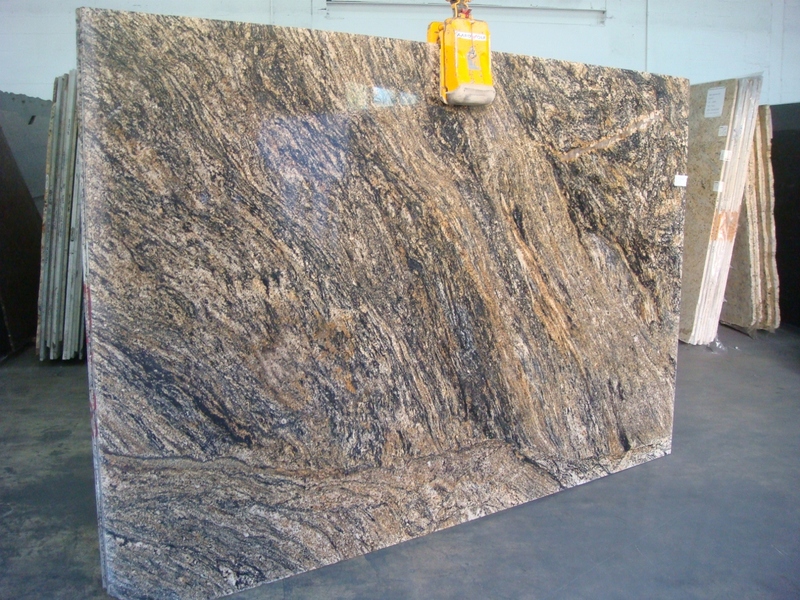 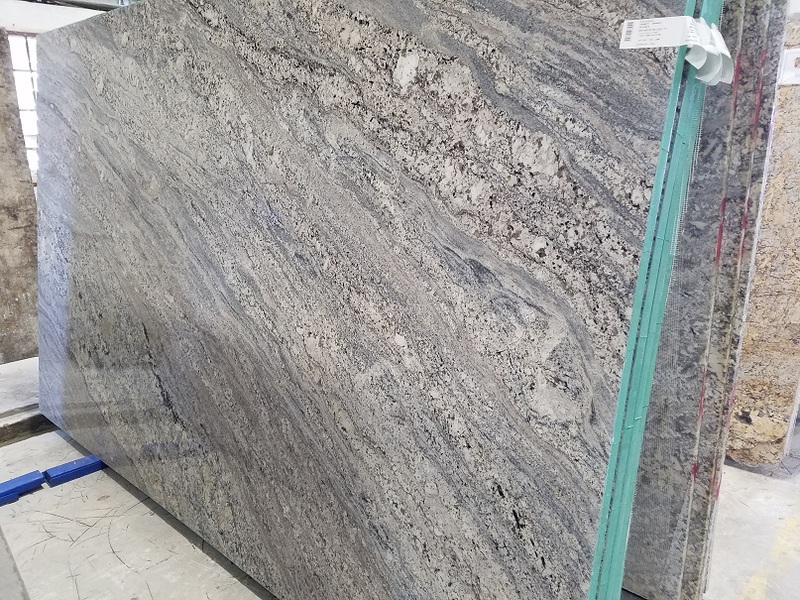 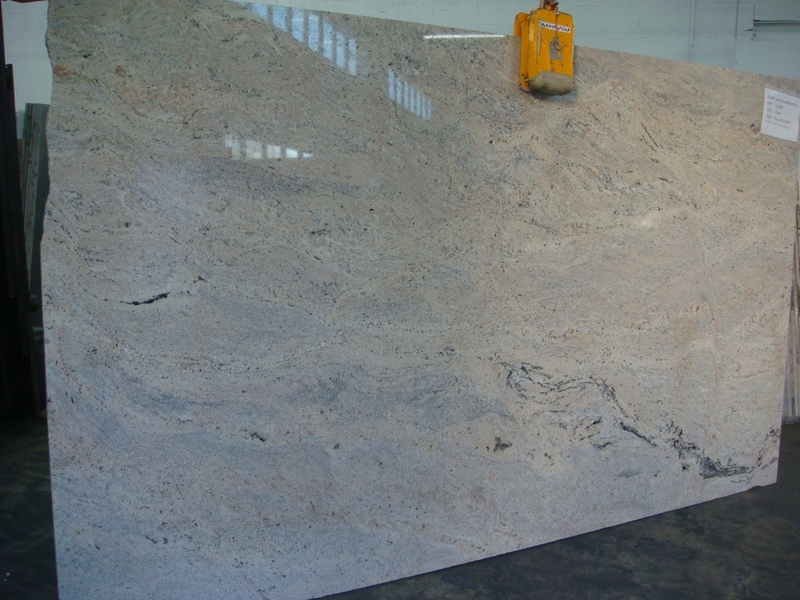 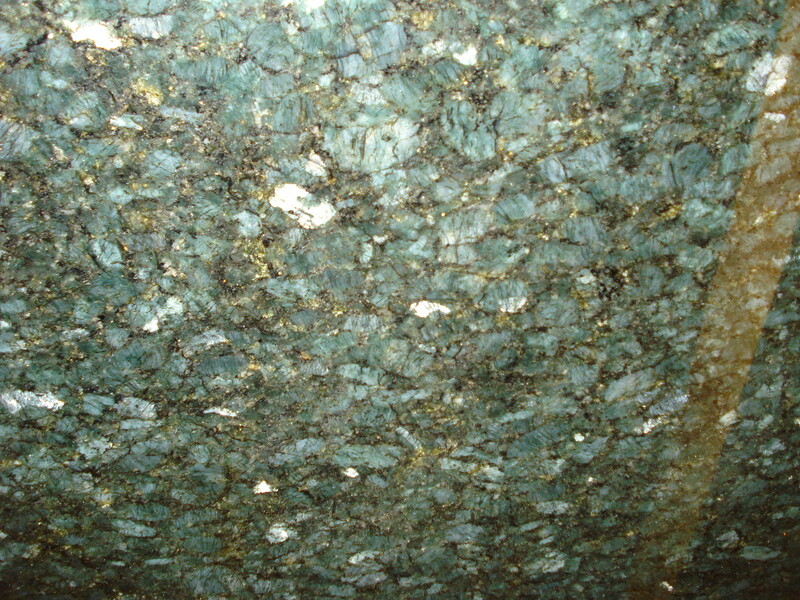 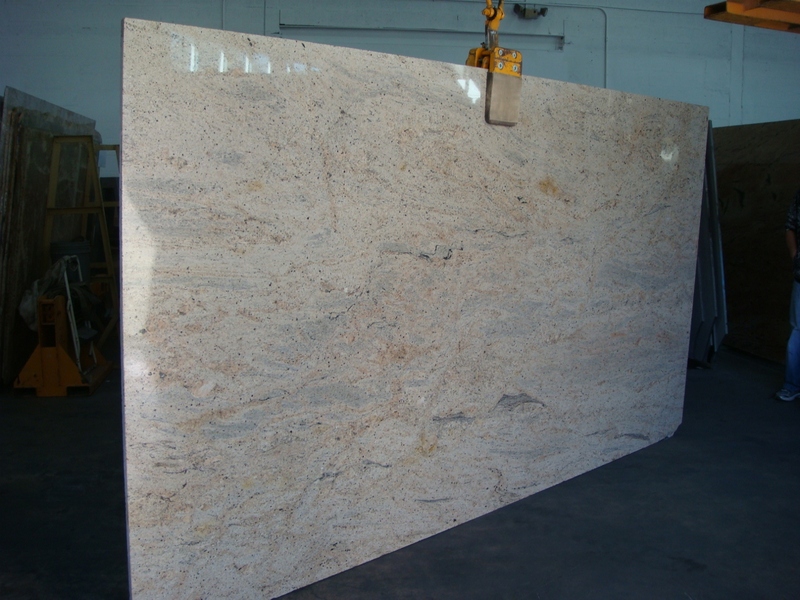 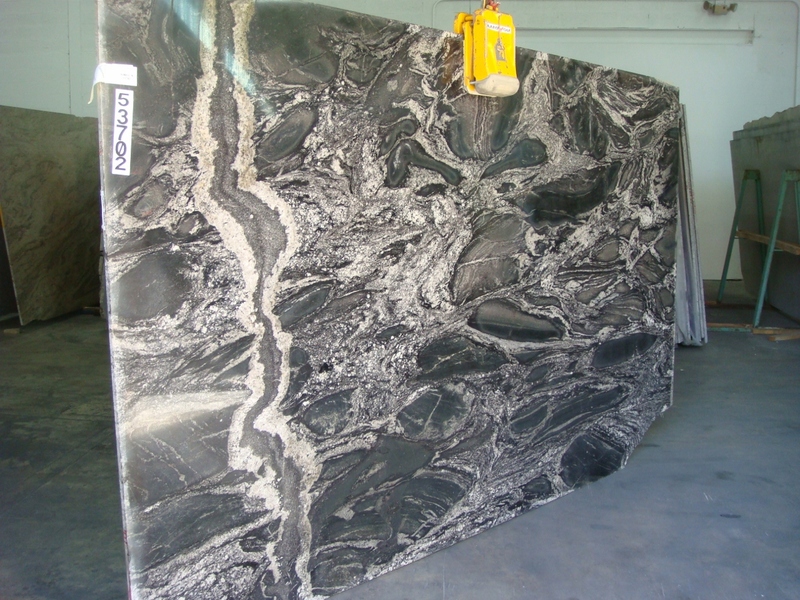 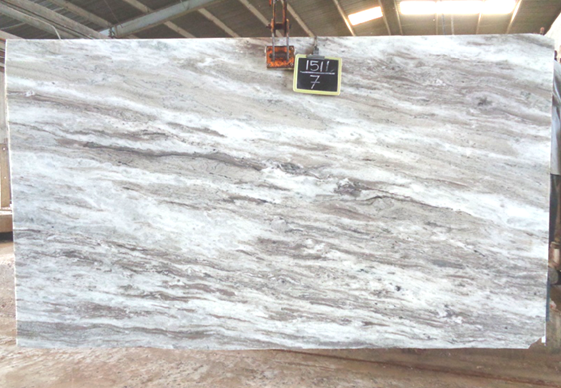 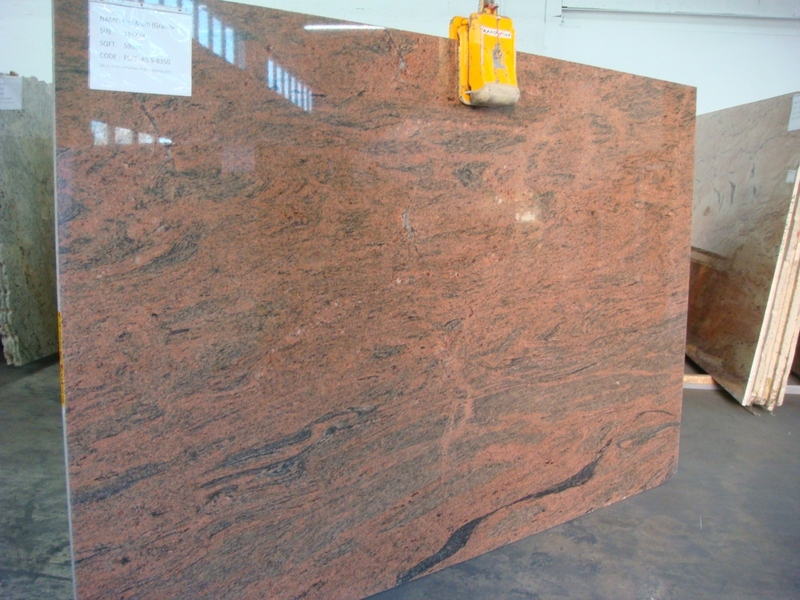 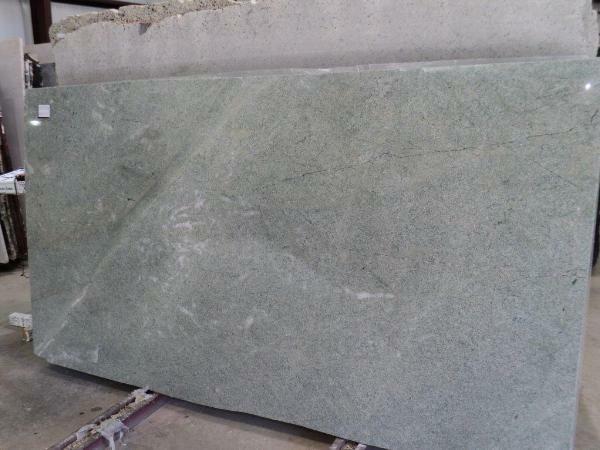 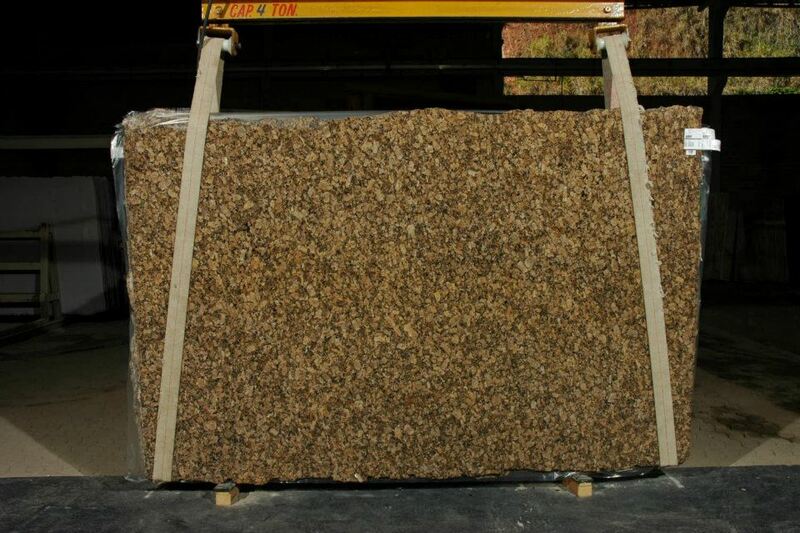 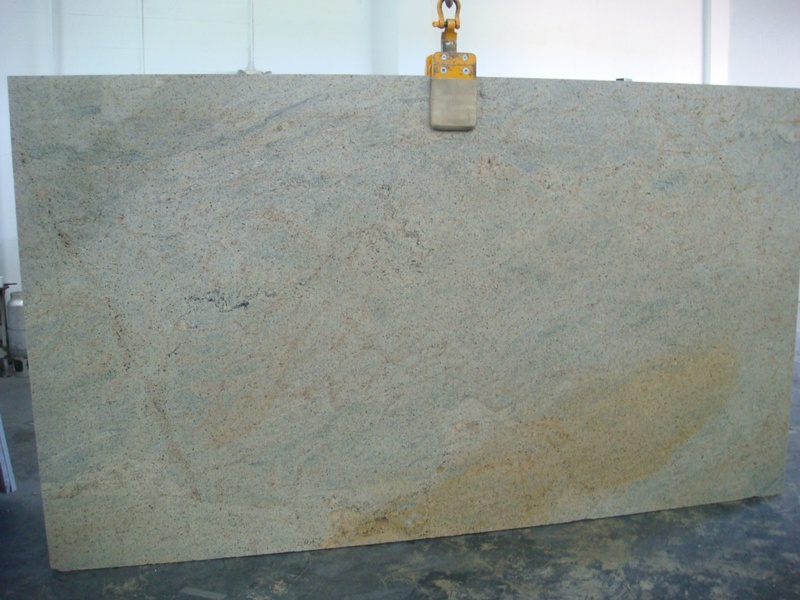 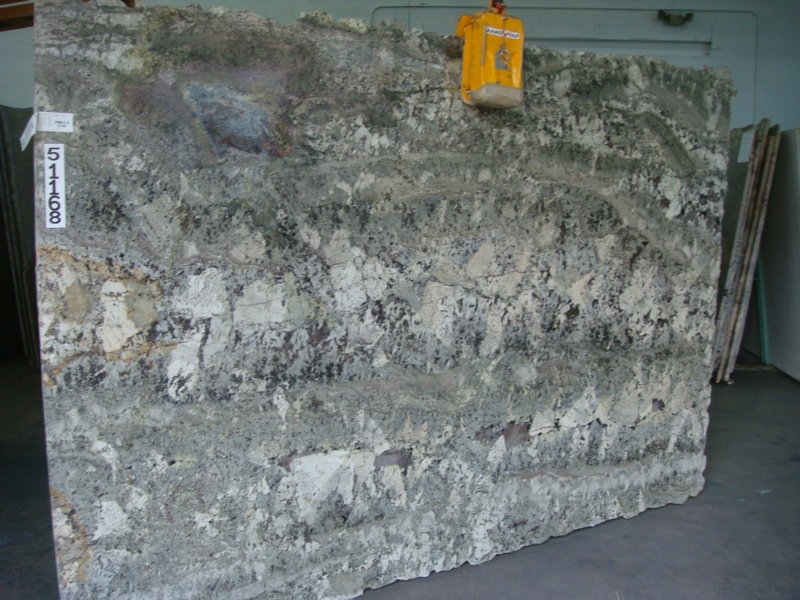 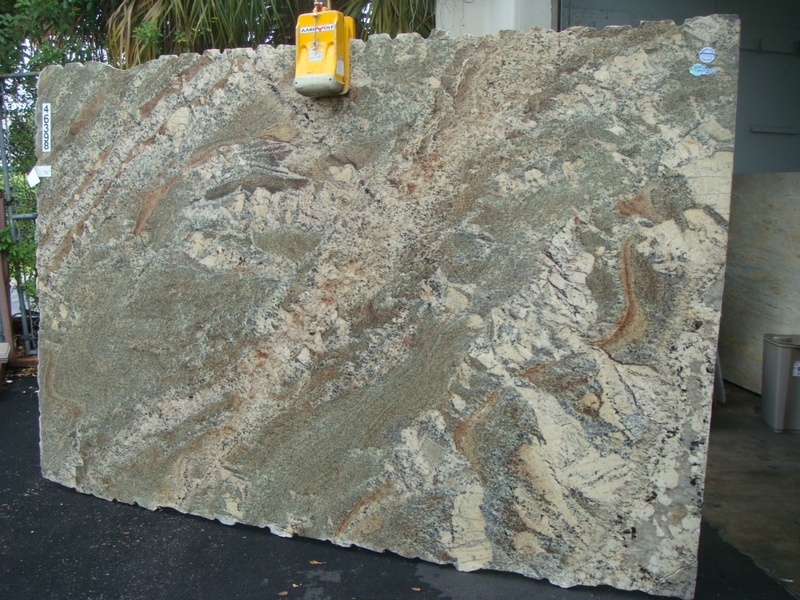 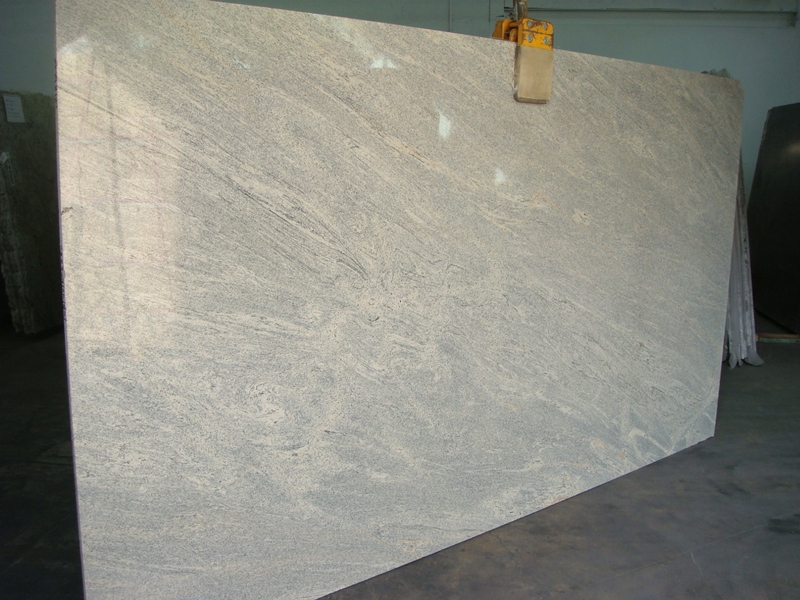 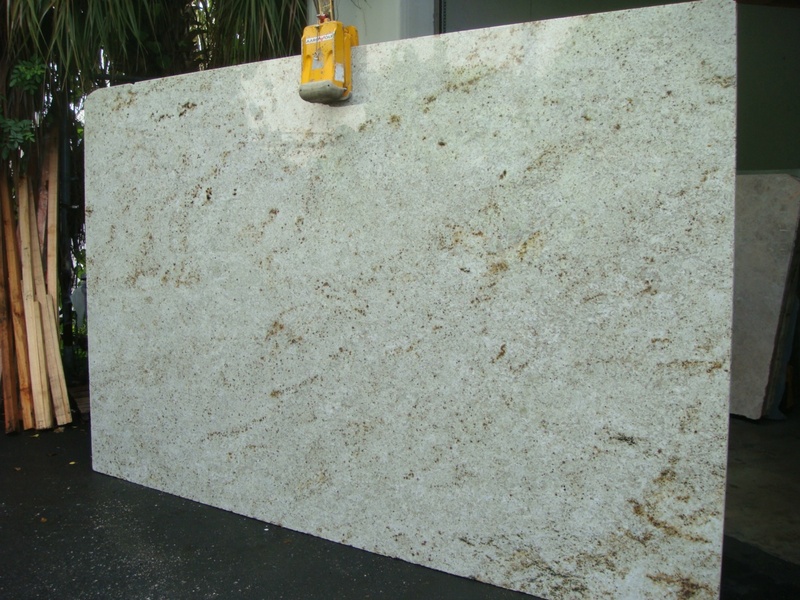 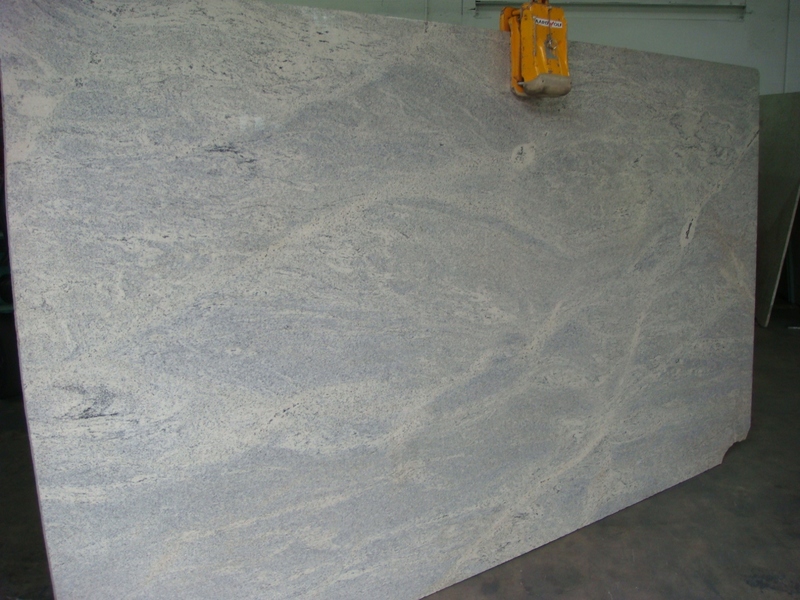 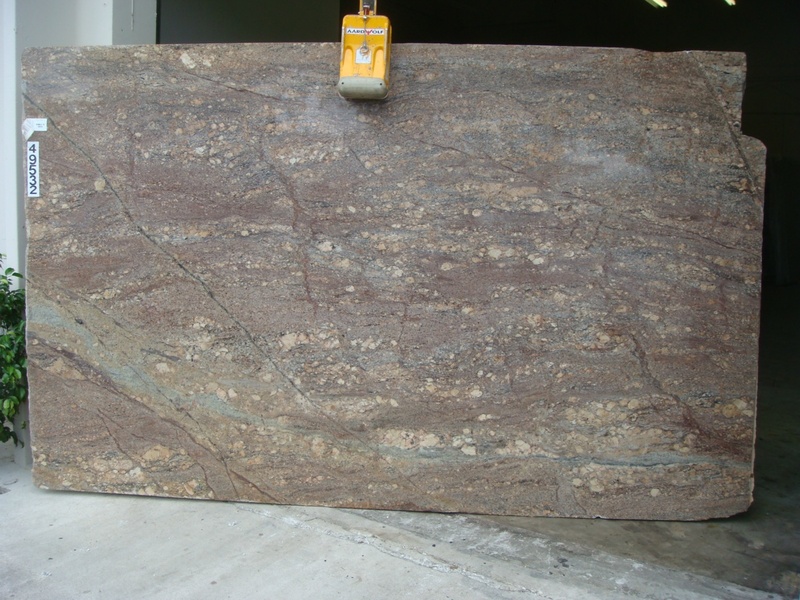 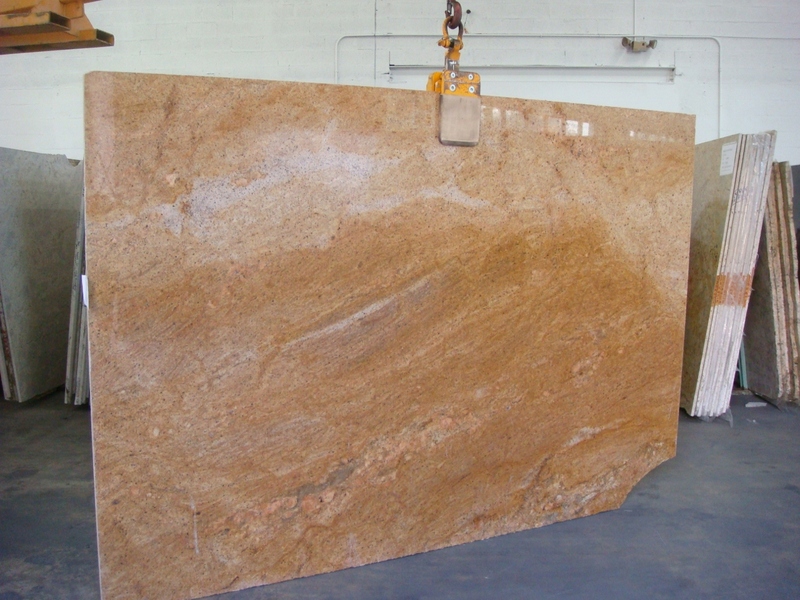 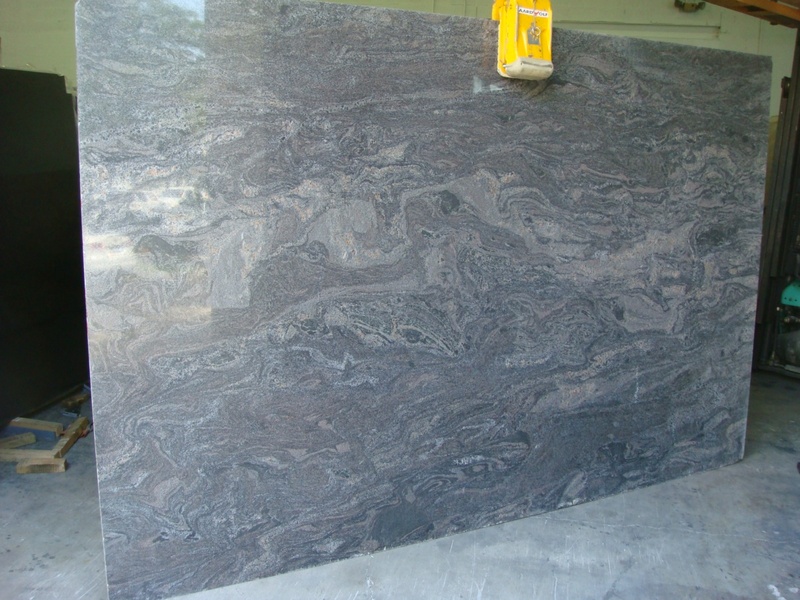 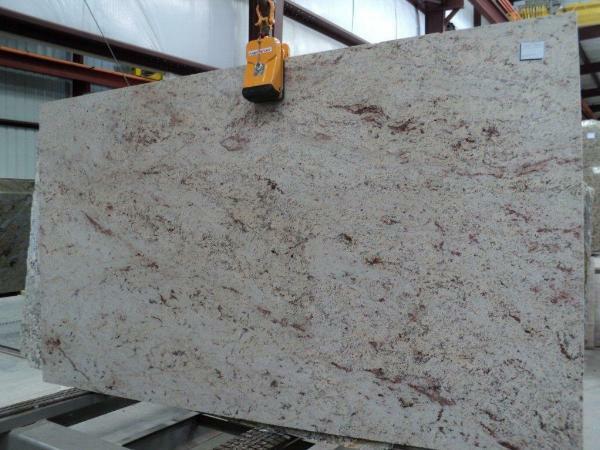 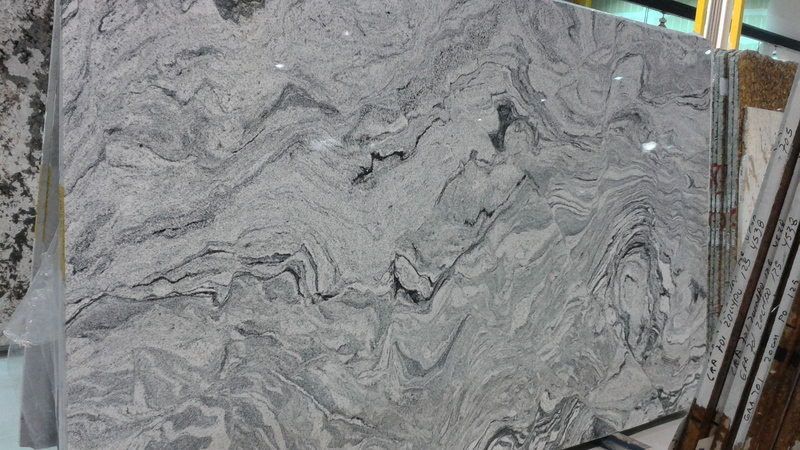 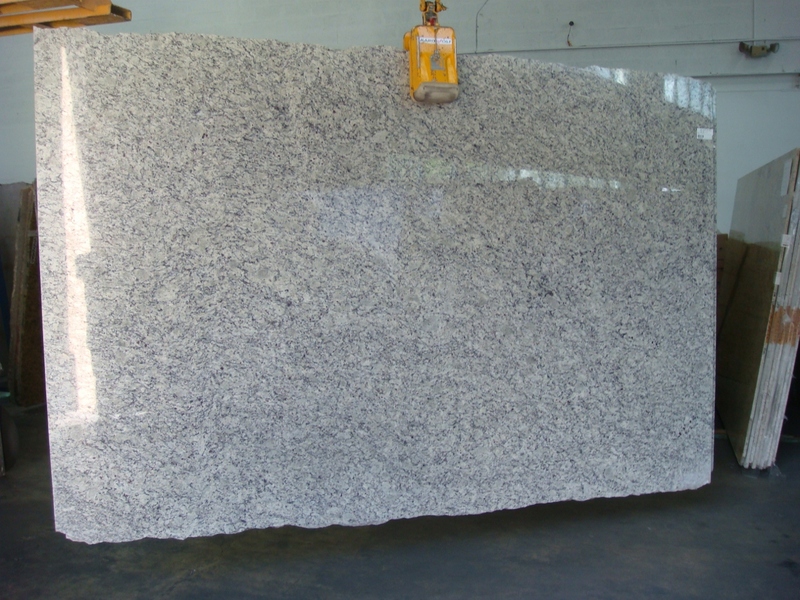 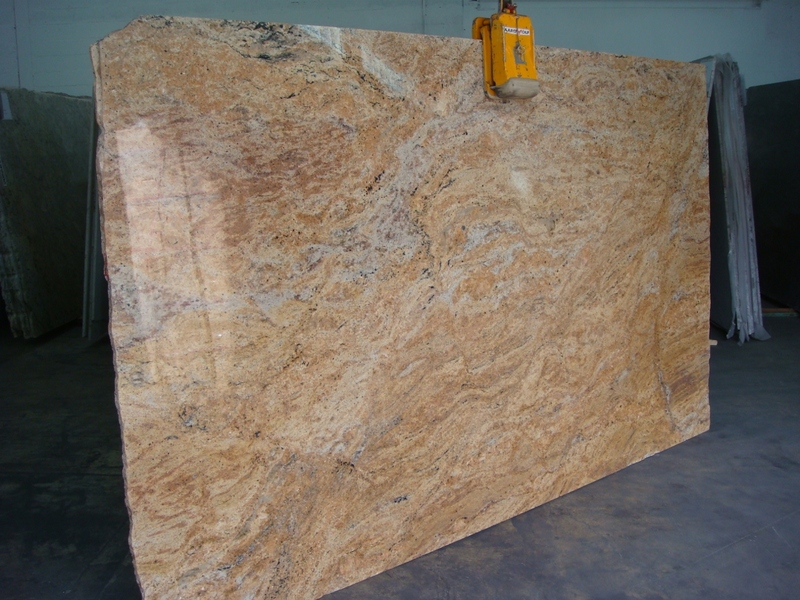 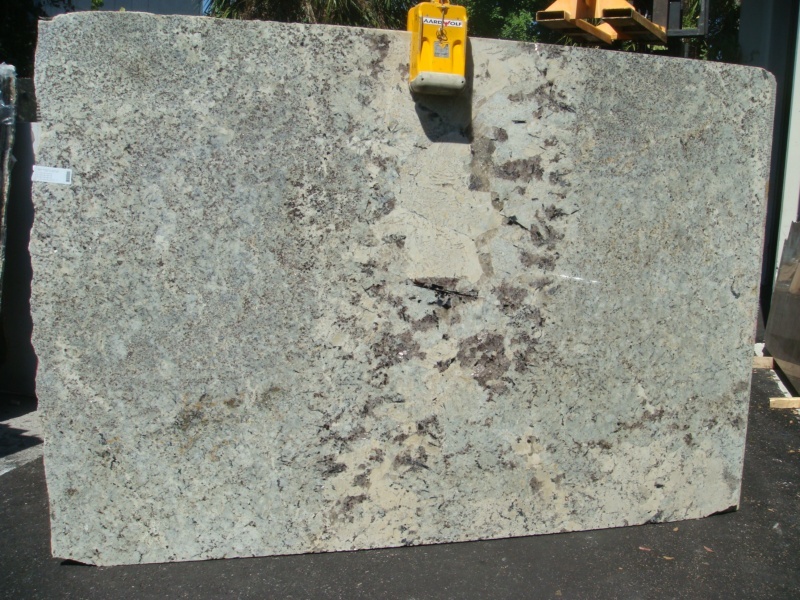 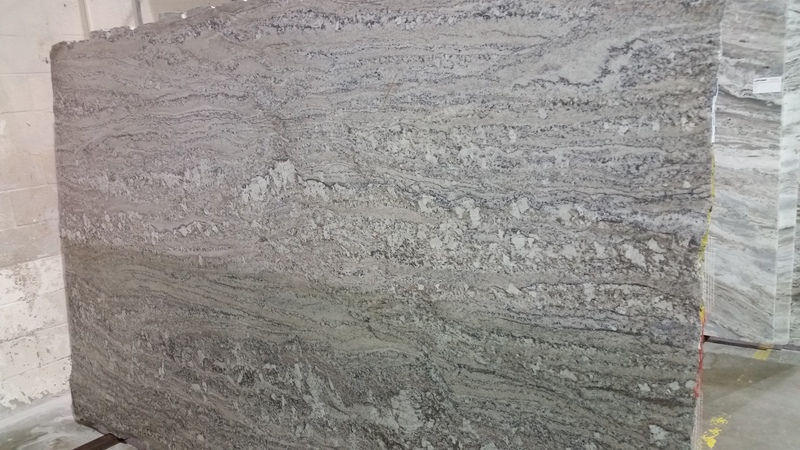 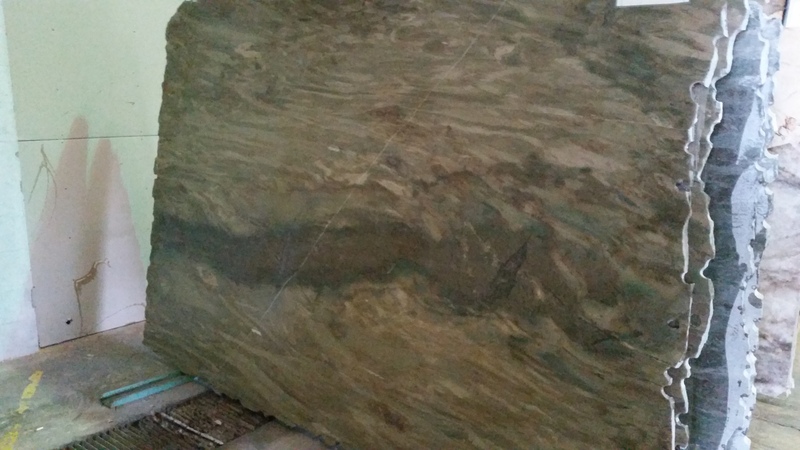 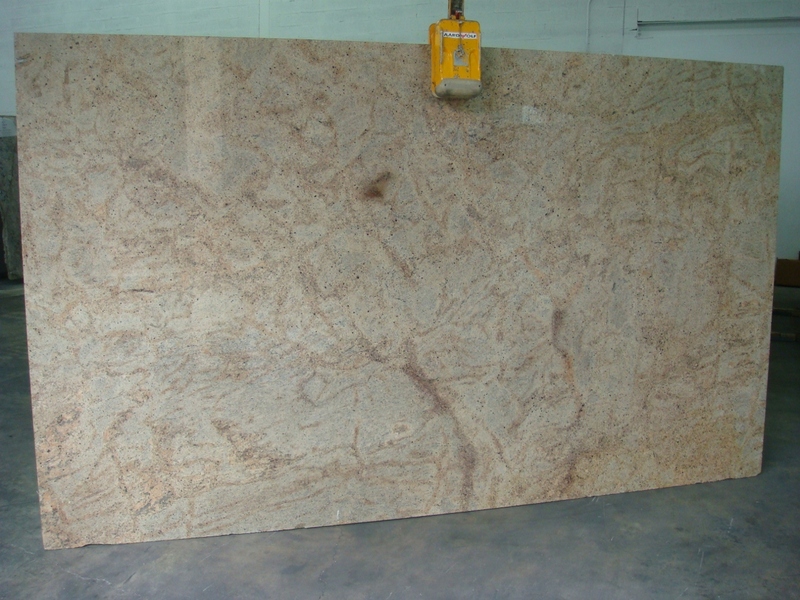 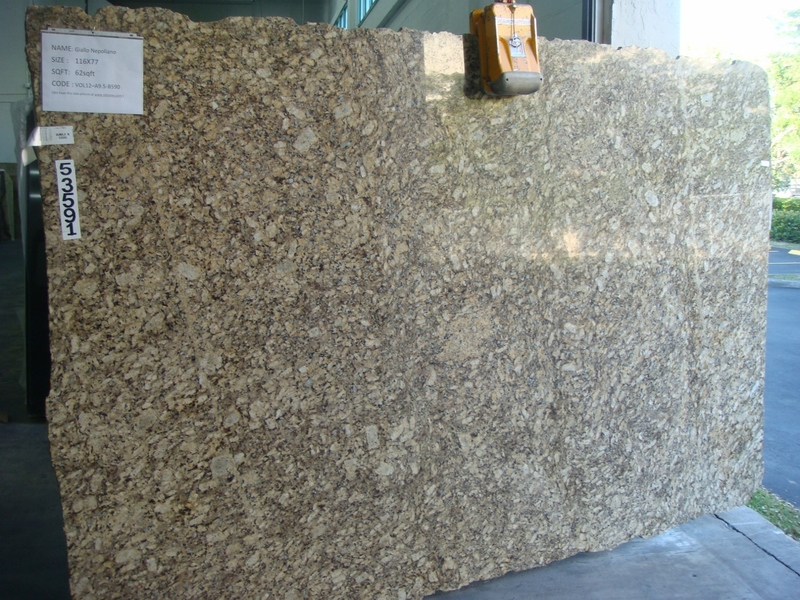 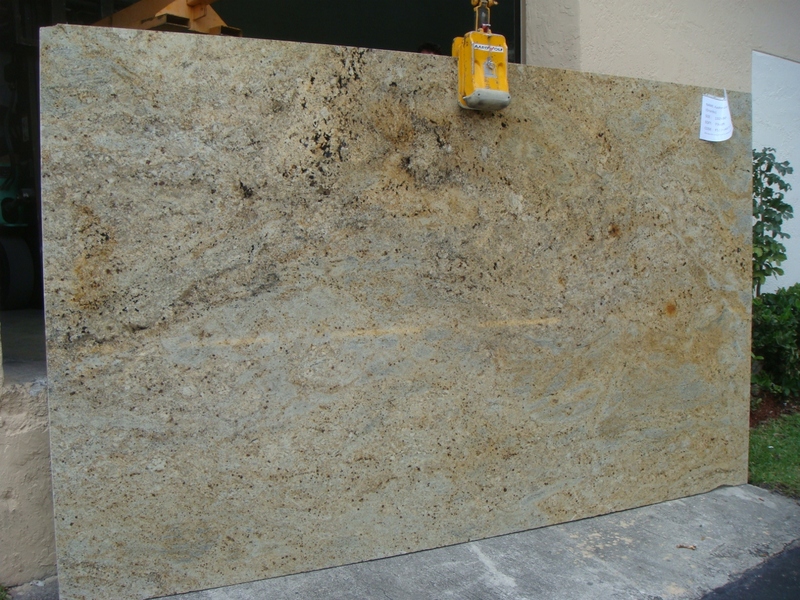 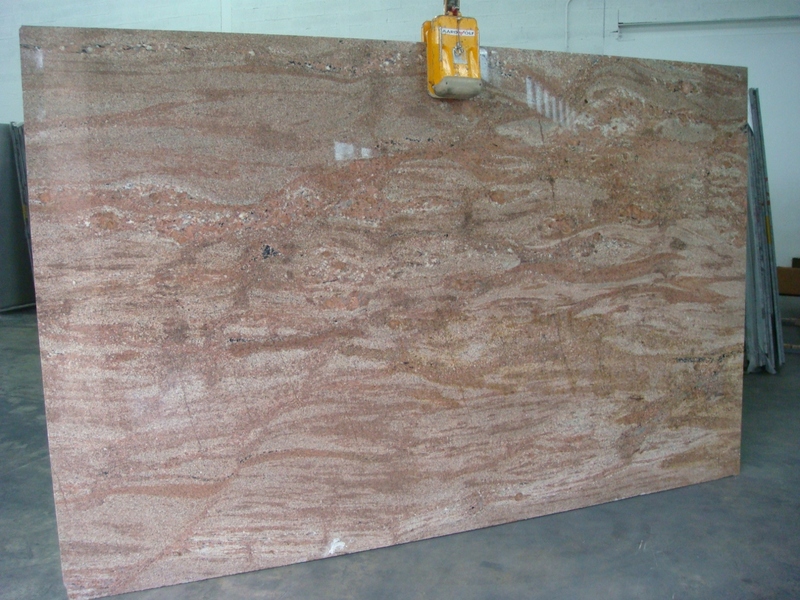 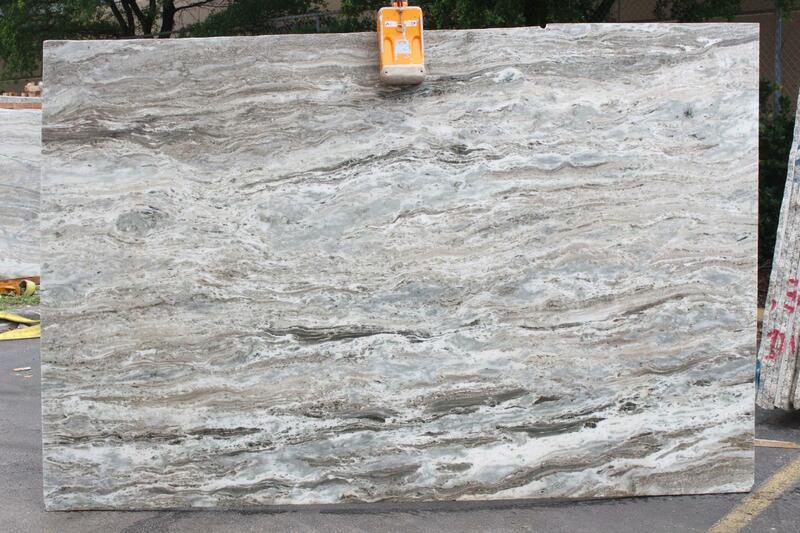 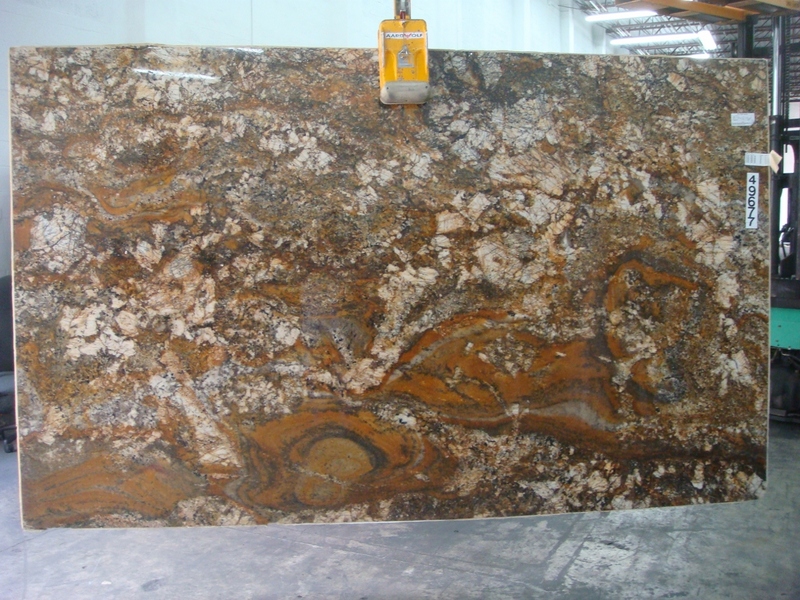 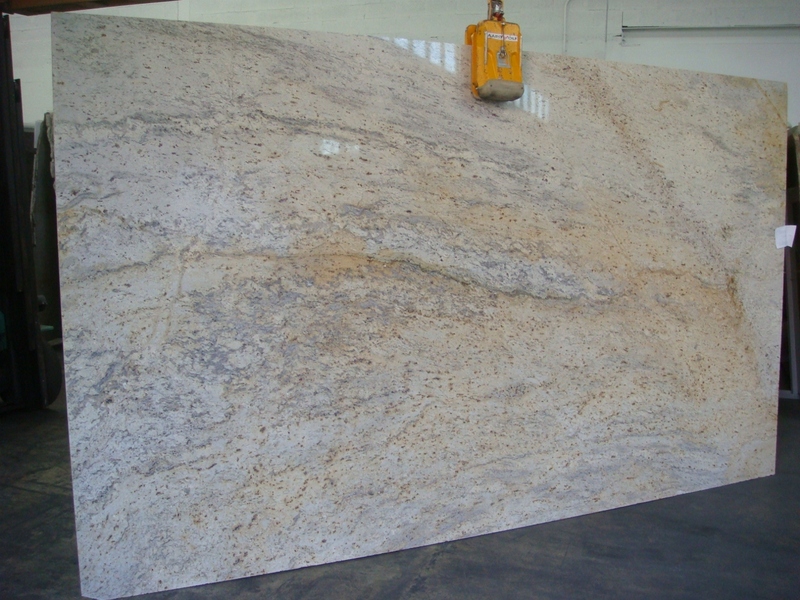 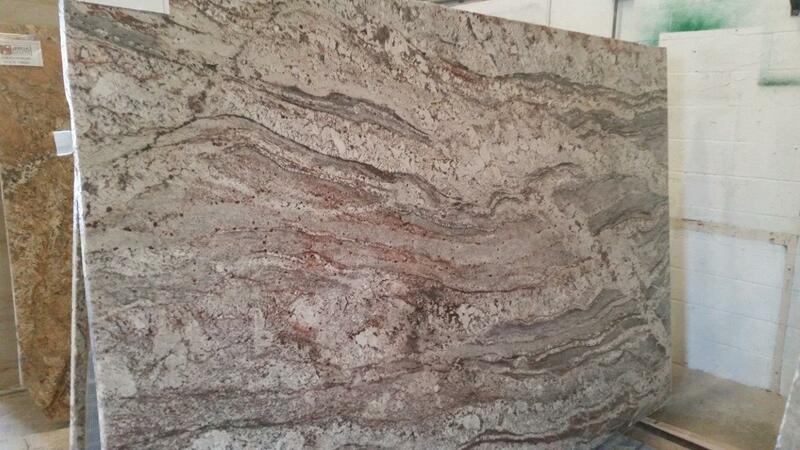 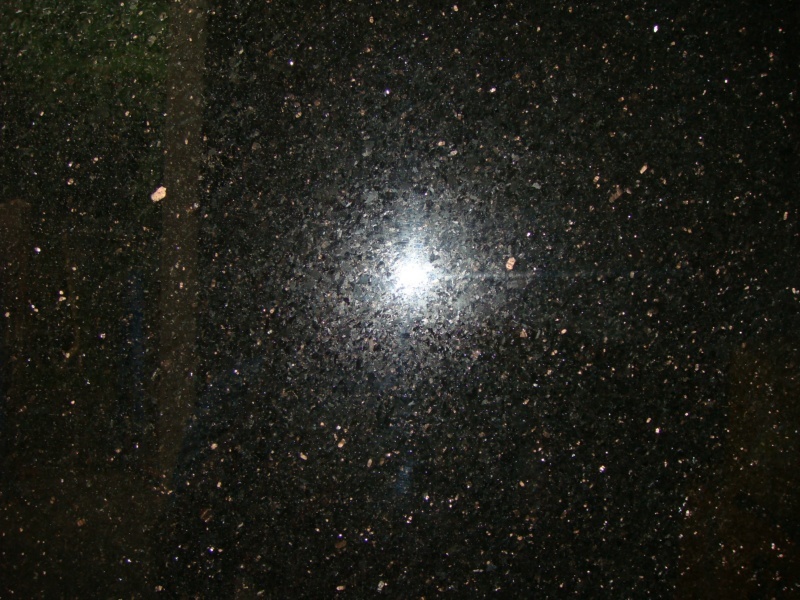 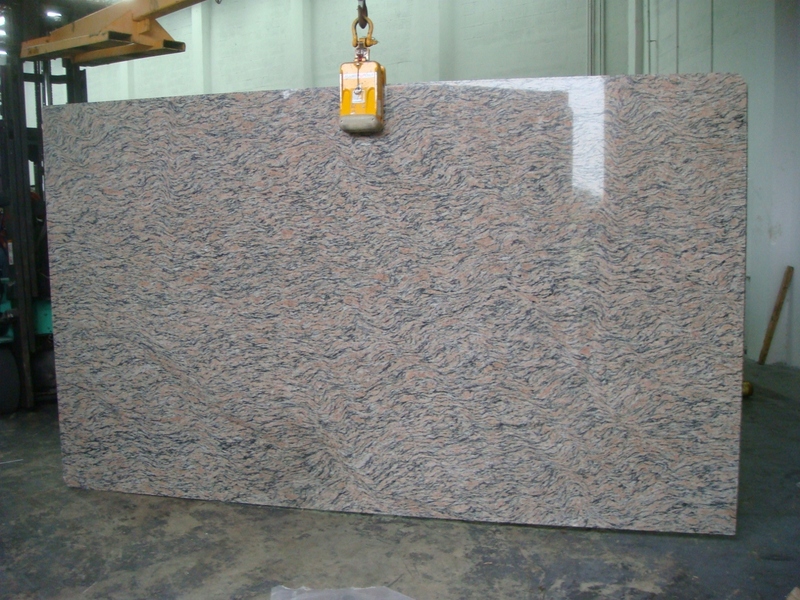 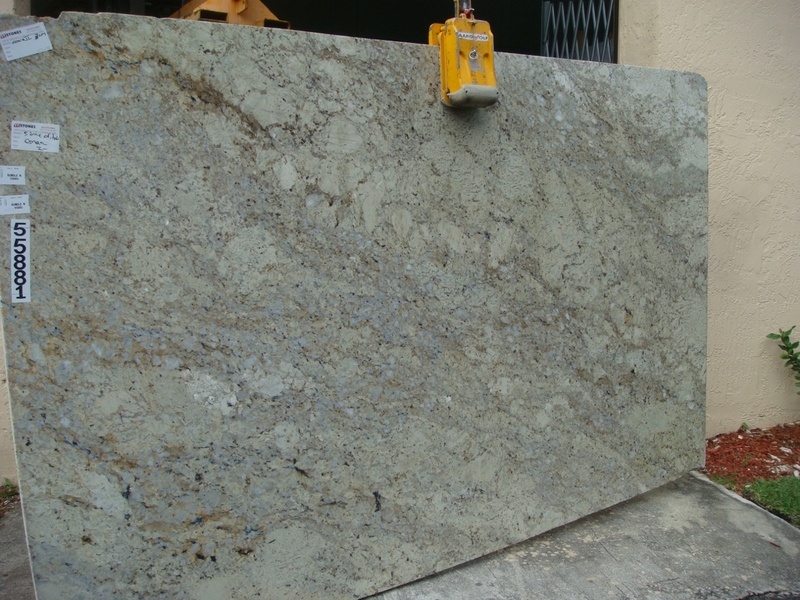 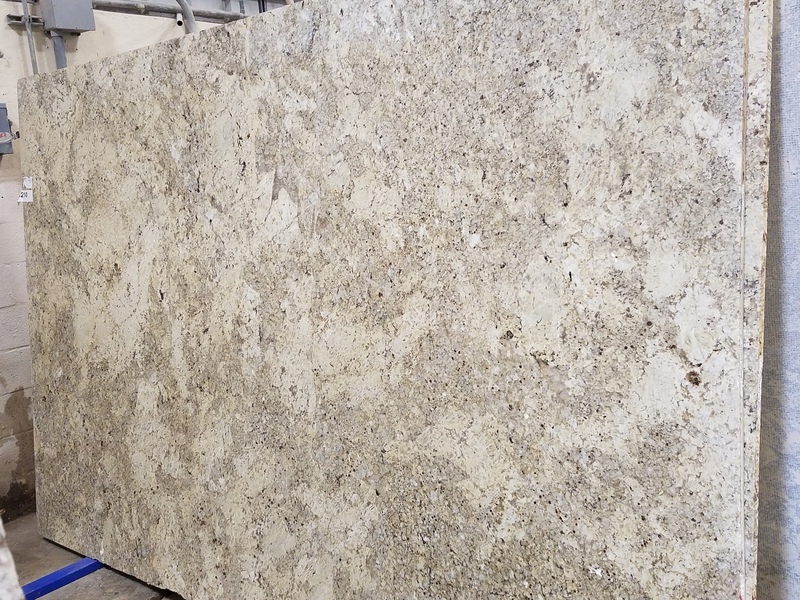 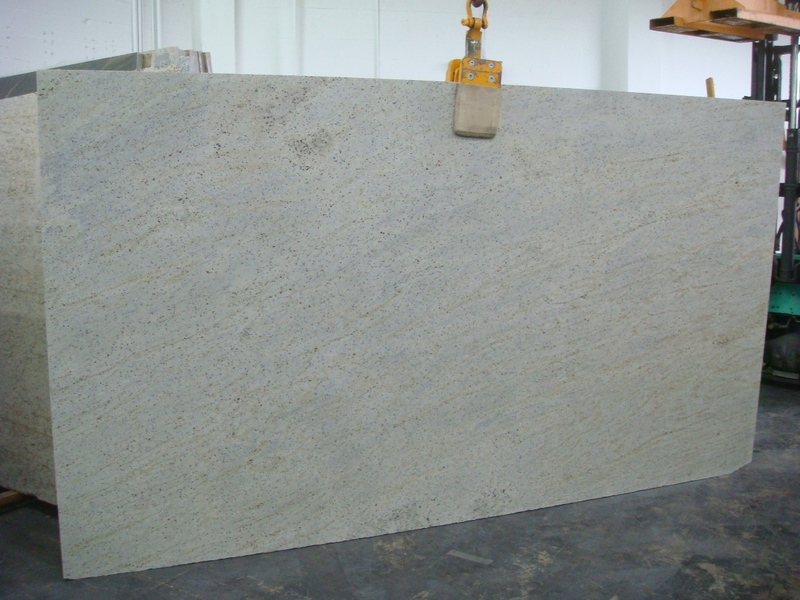 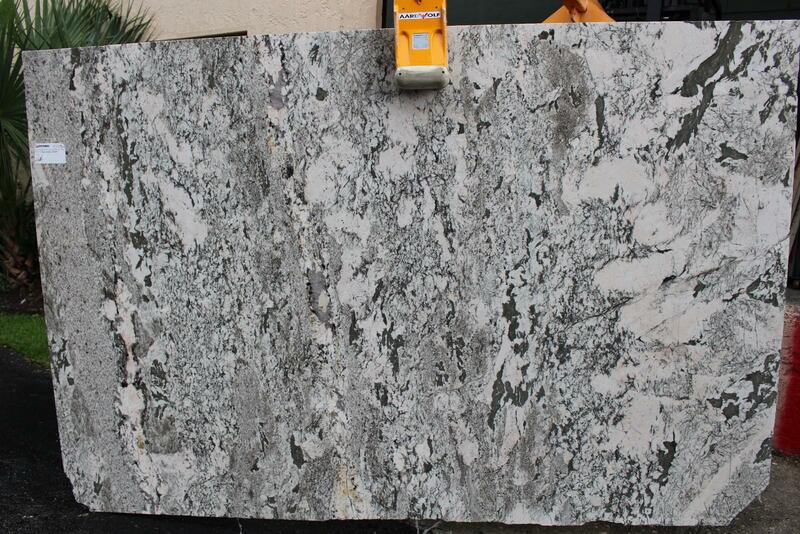 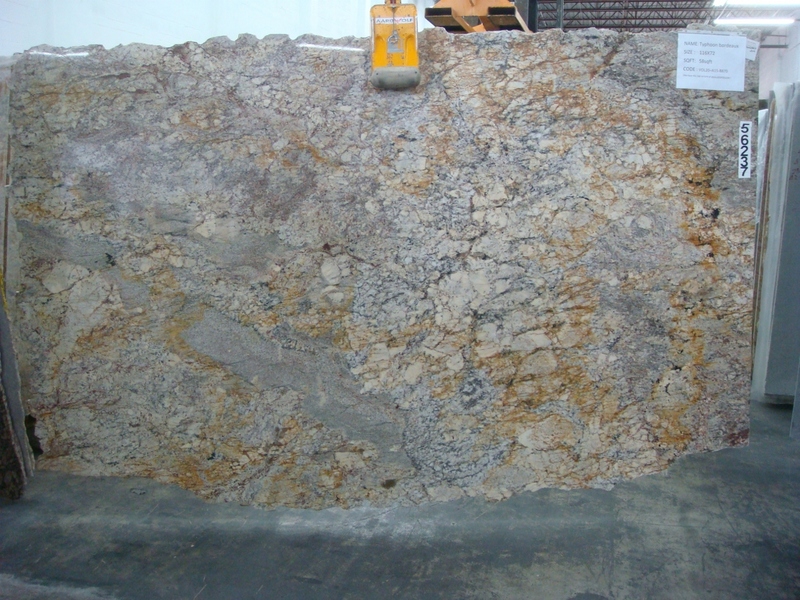 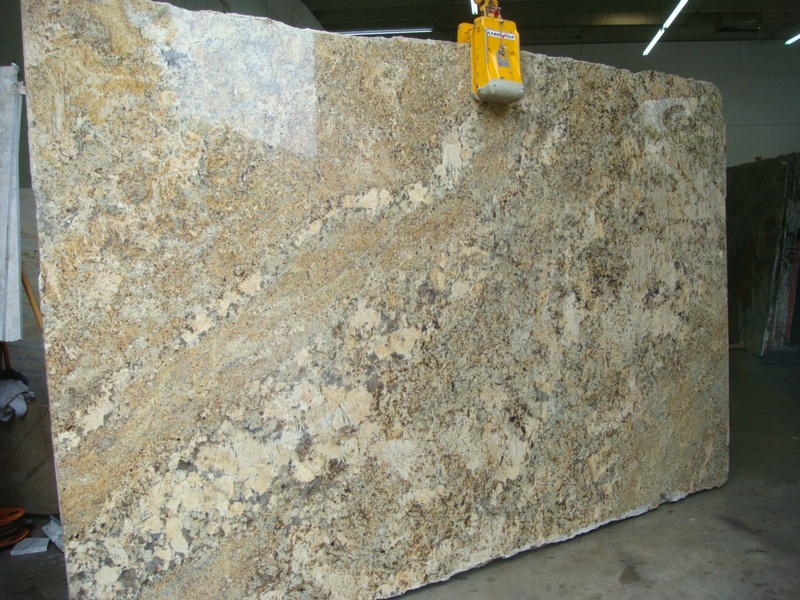 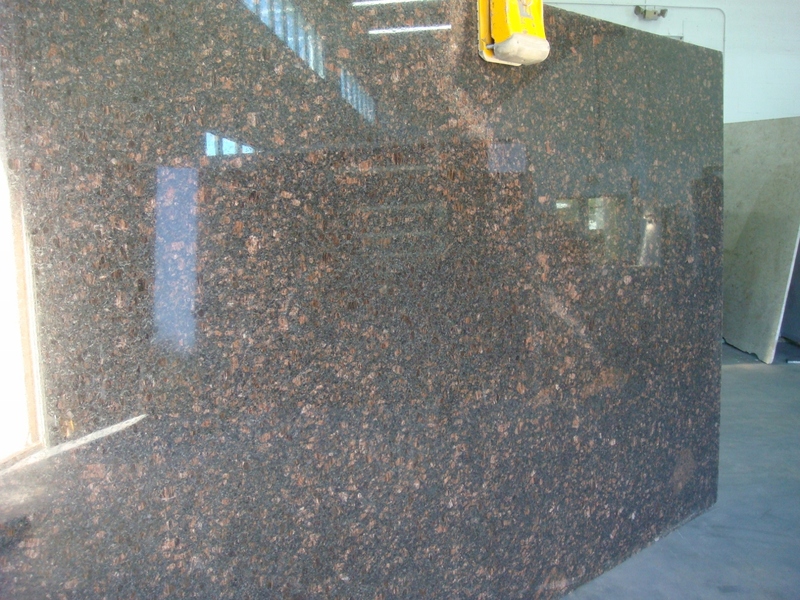 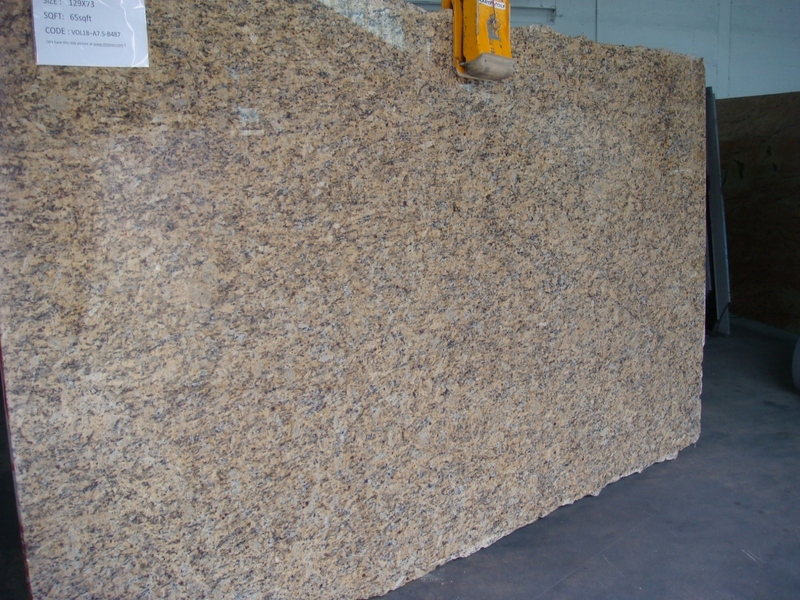 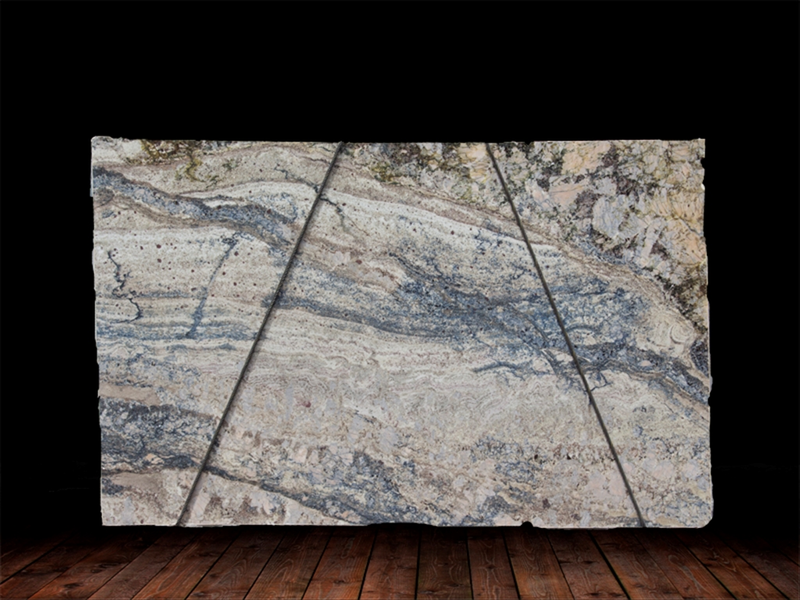 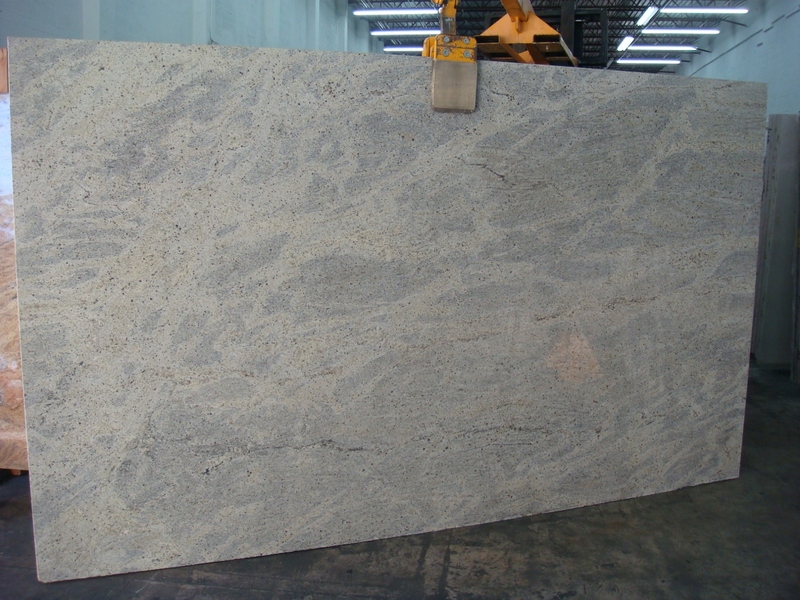 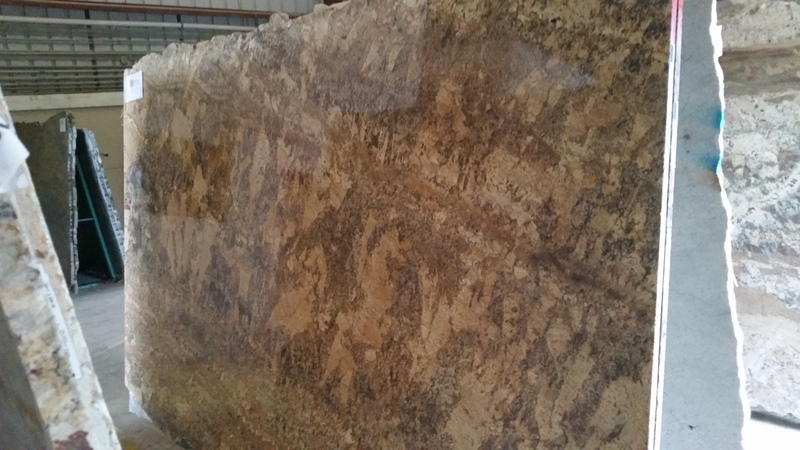 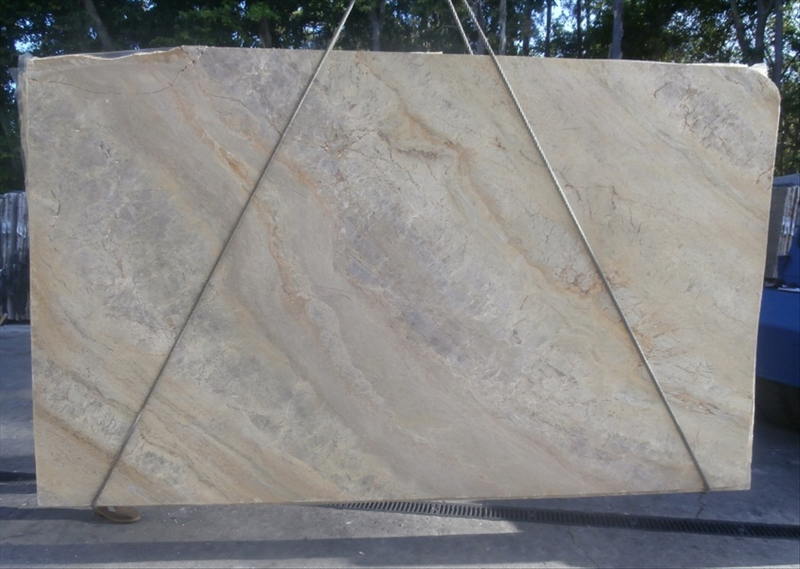 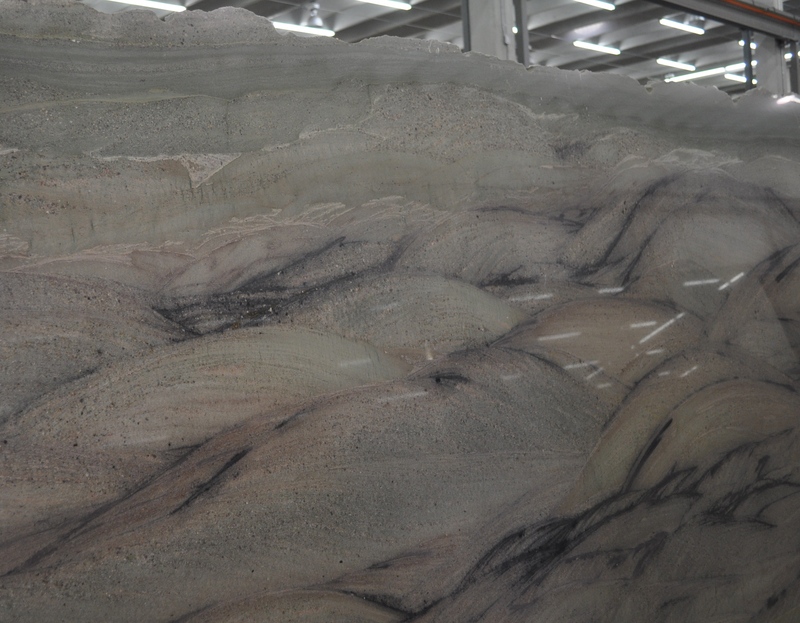 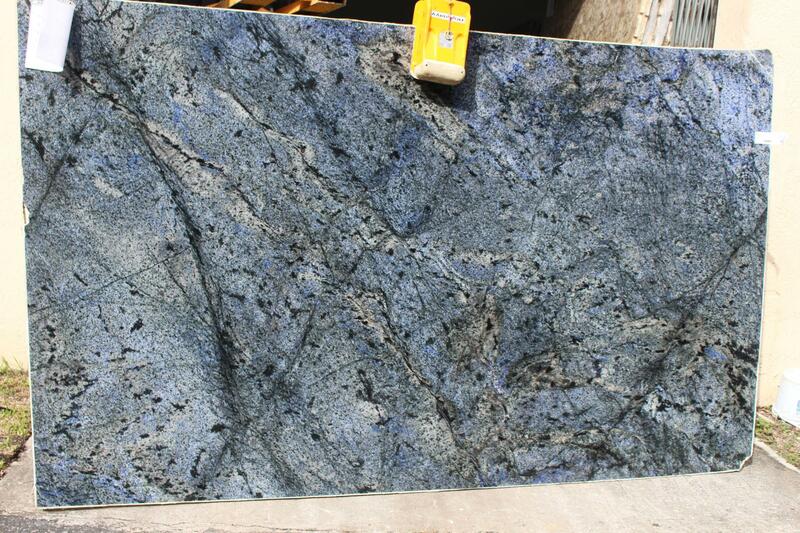 Granite is natural all the way so you will find it different shades and movements, even if it has the same name to it. 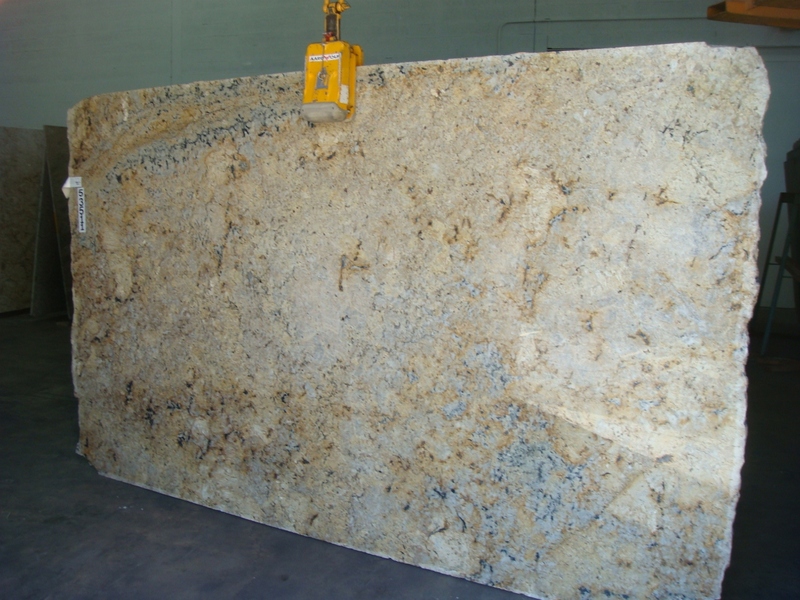 Very low maintenance and does not lose its color over time.